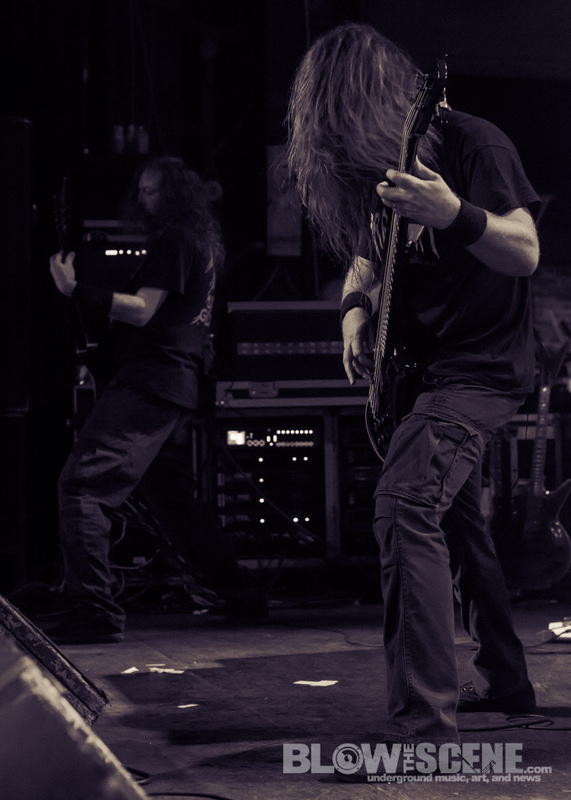 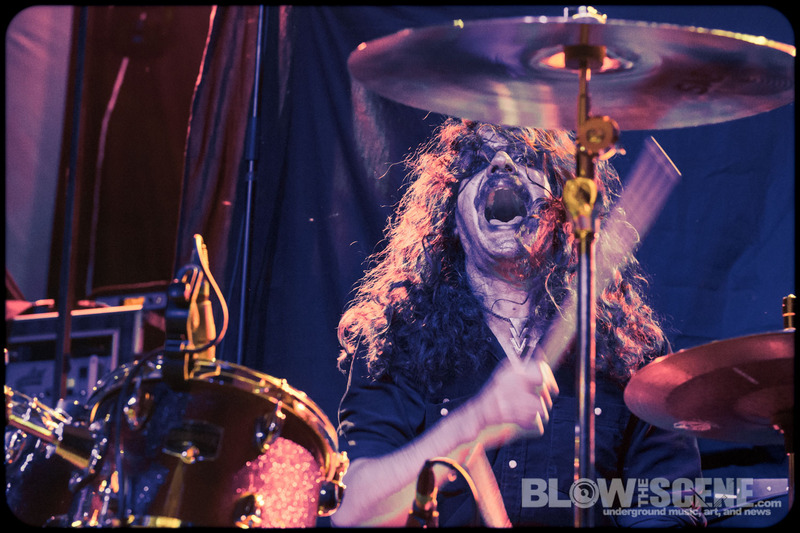 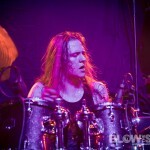 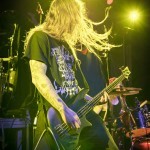 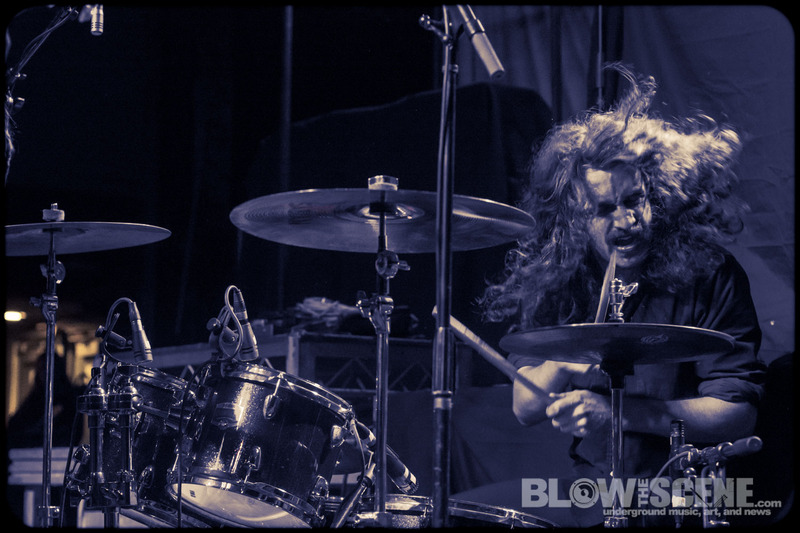 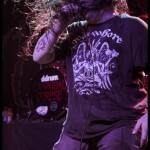 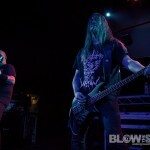 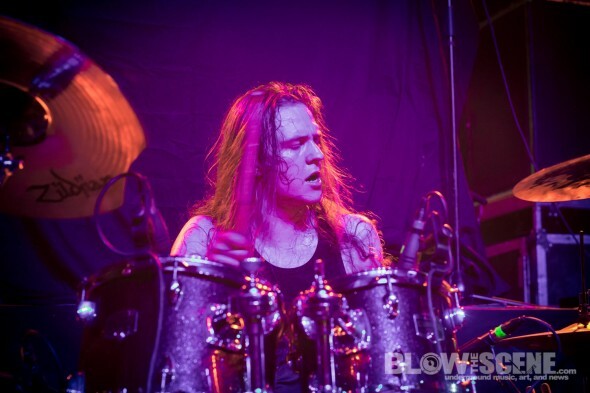 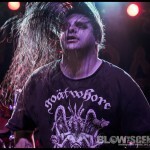 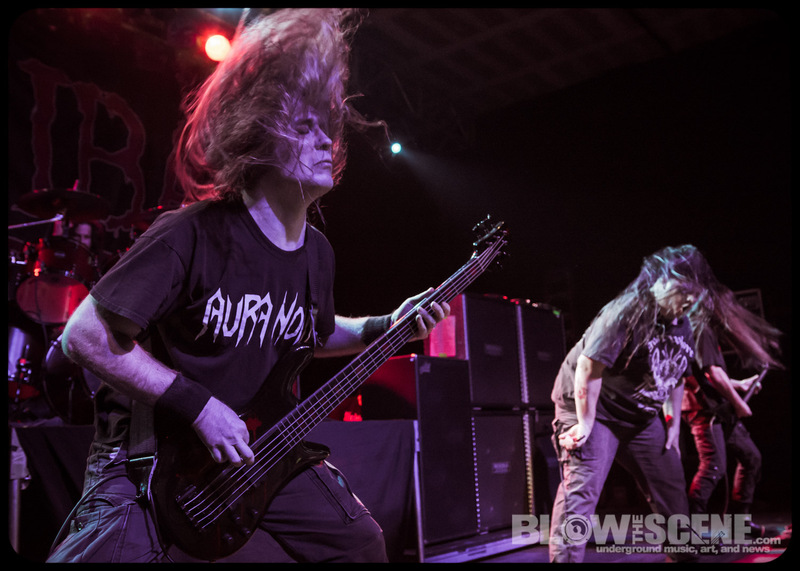 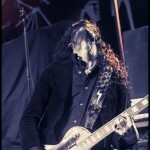 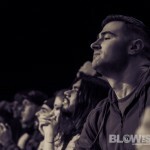 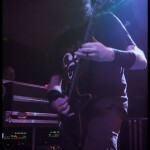 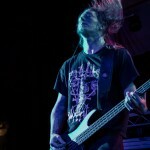 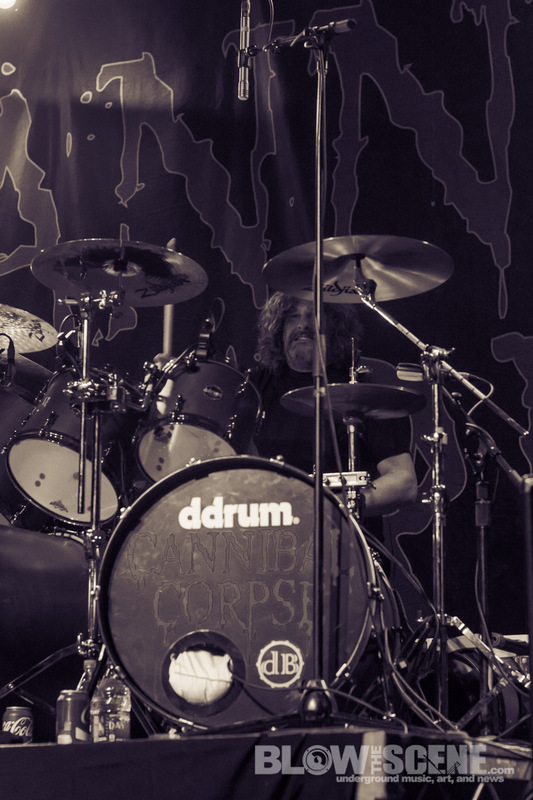 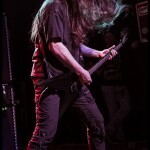 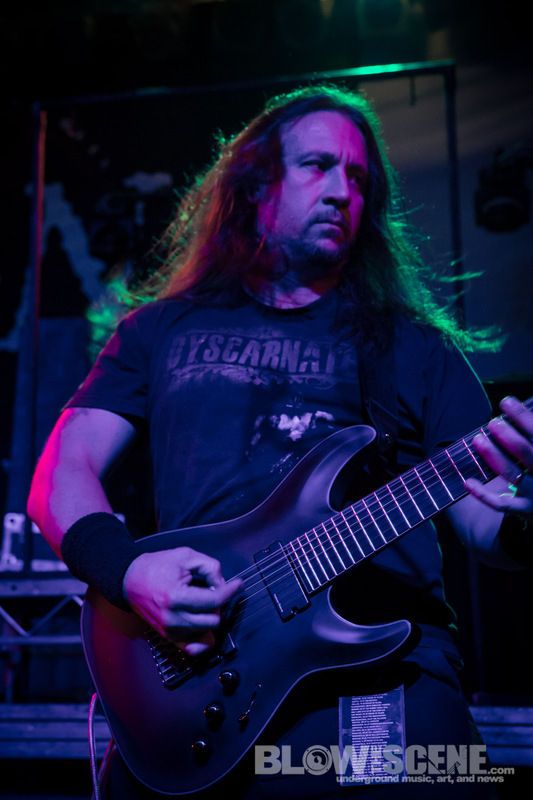 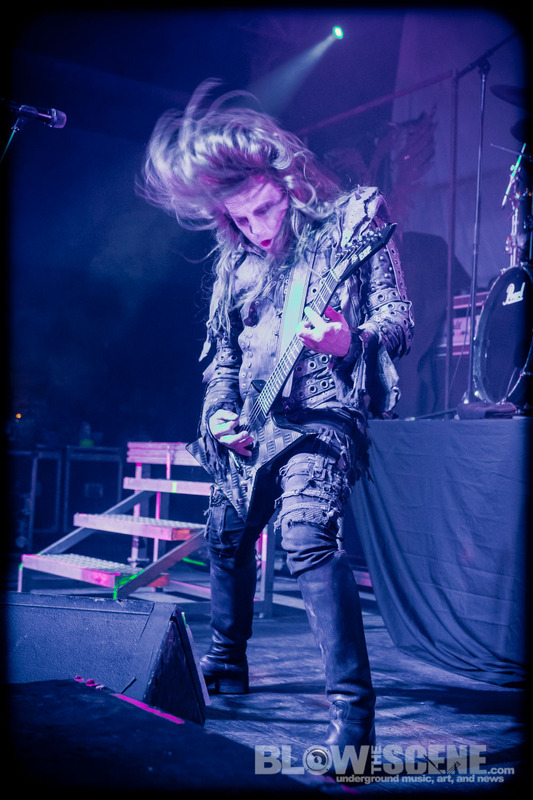 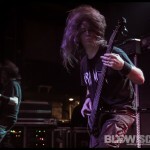 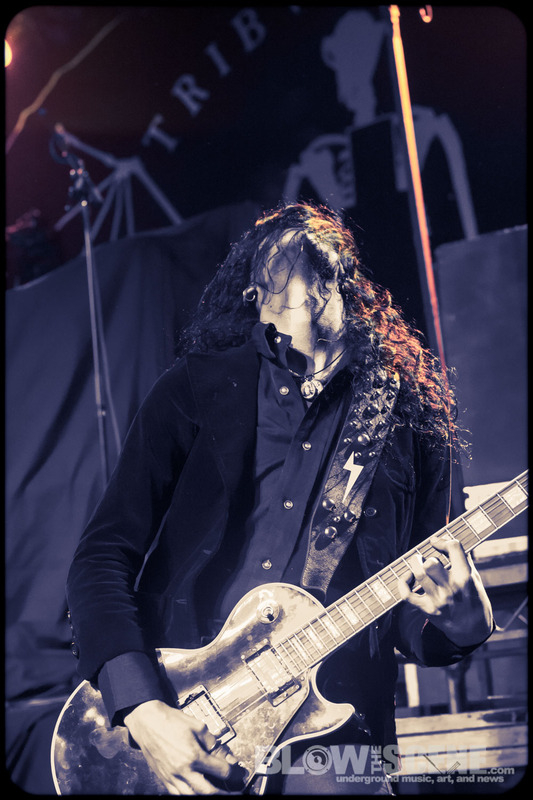 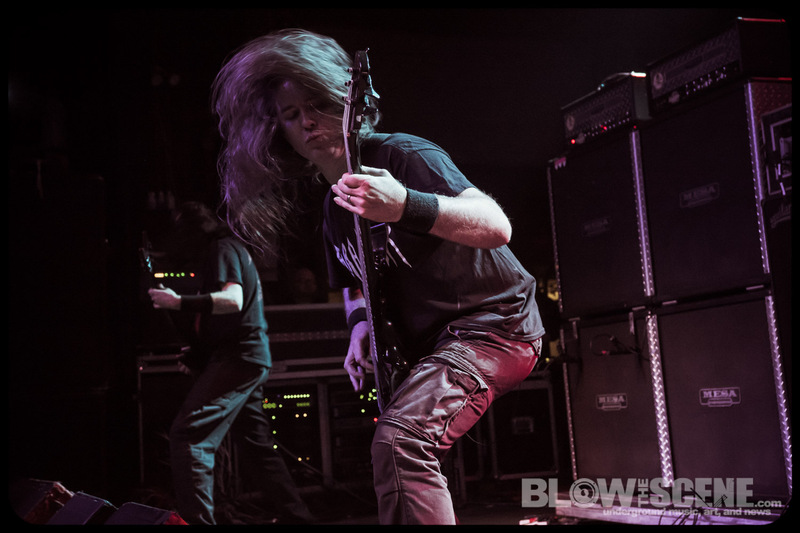 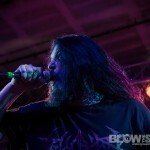 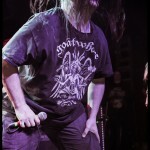 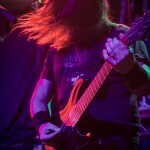 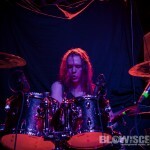 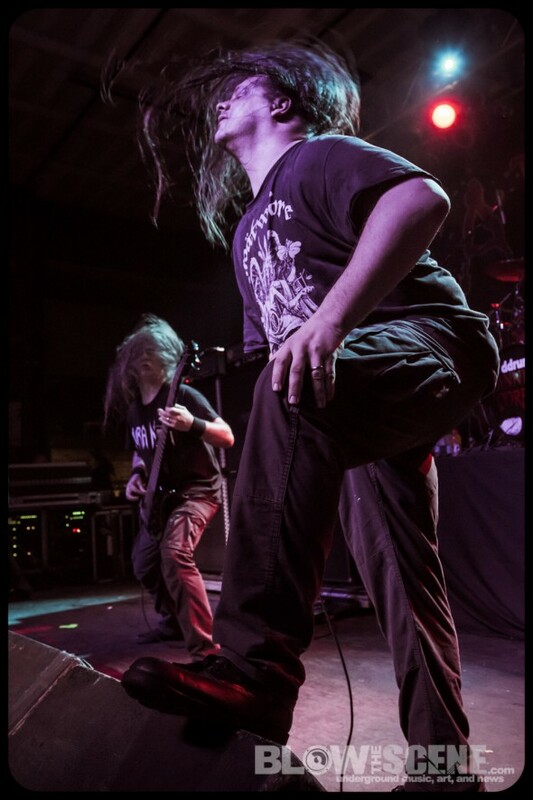 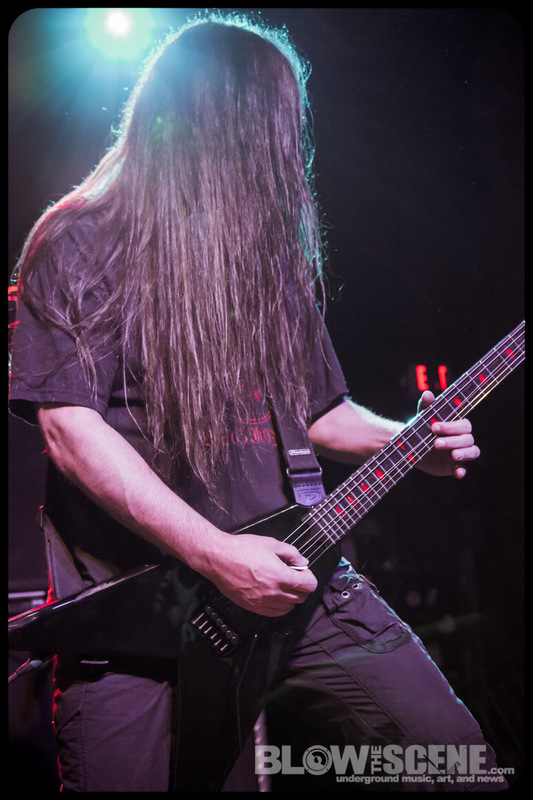 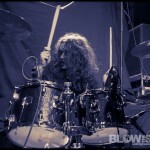 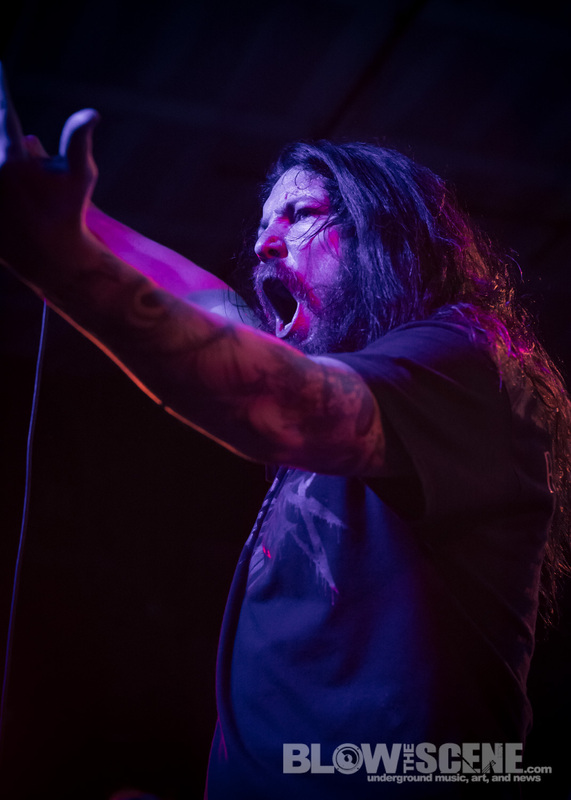 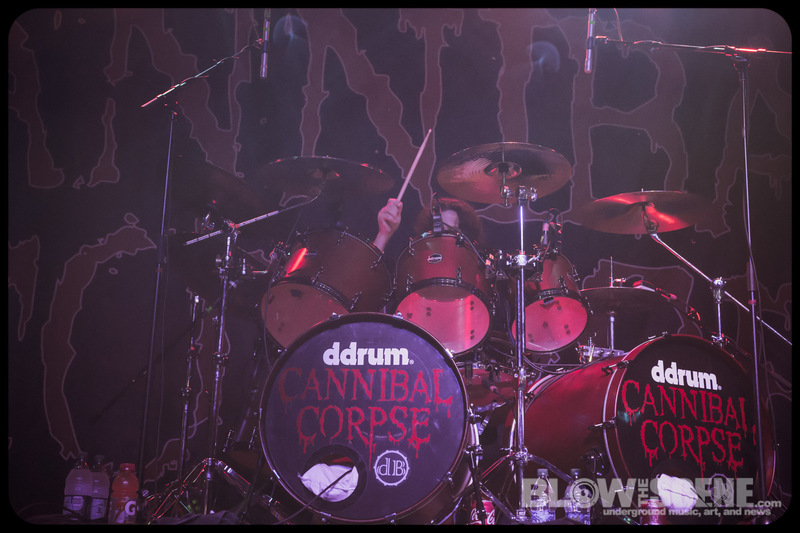 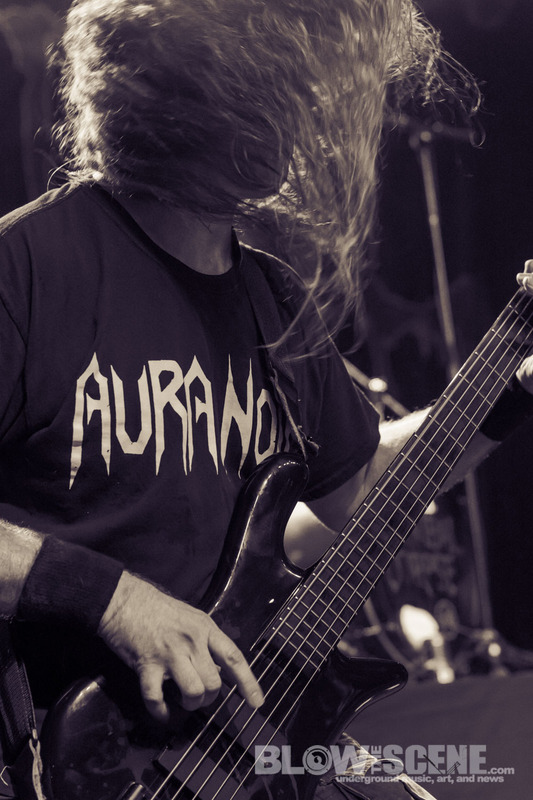 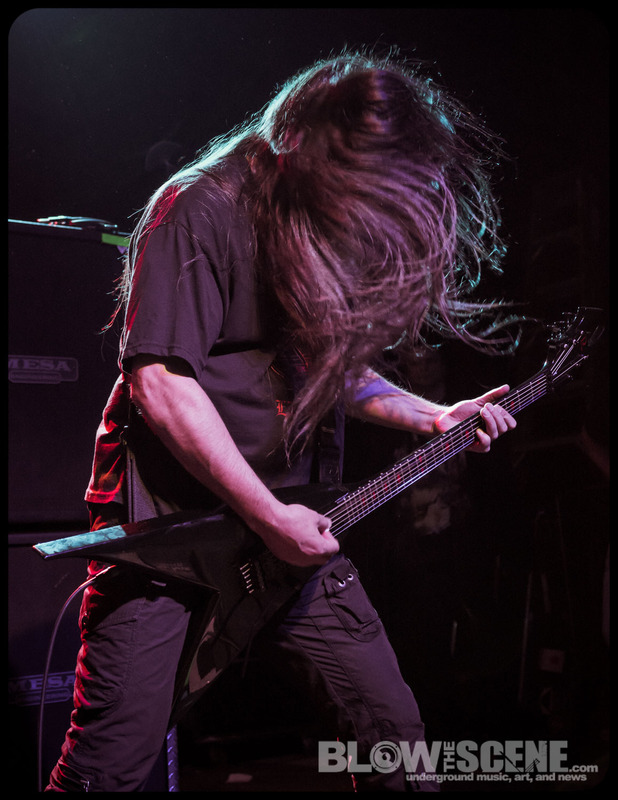 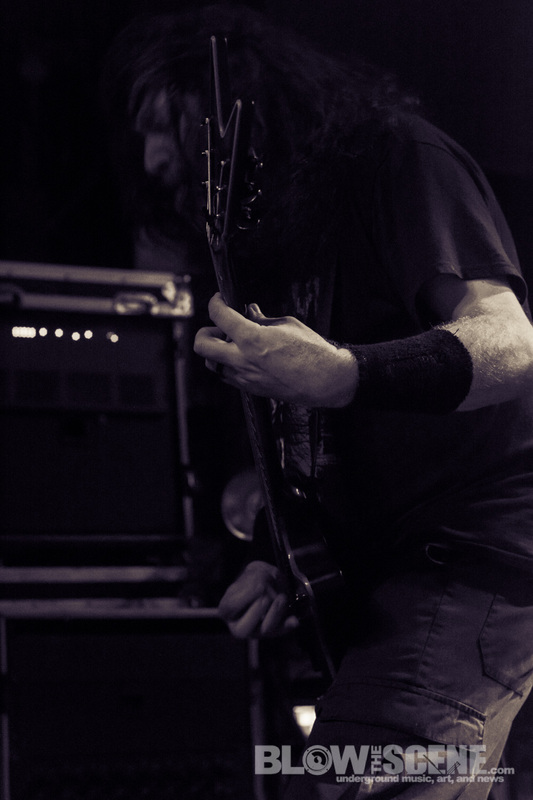 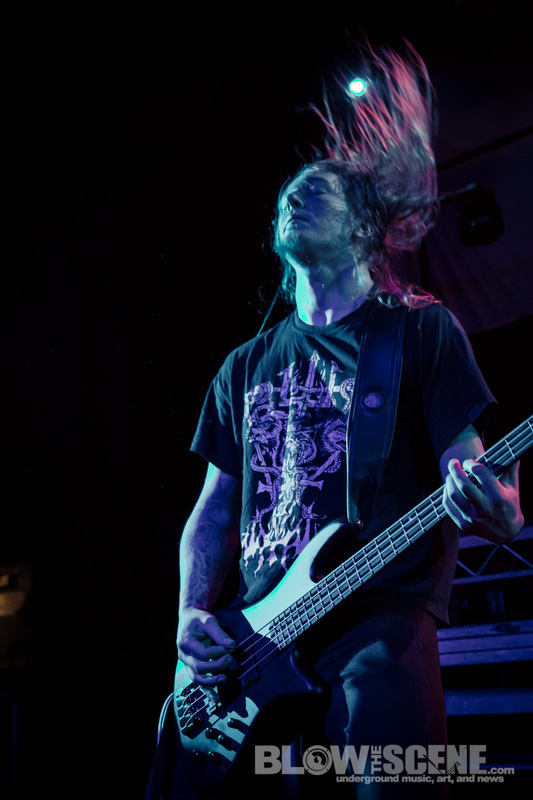 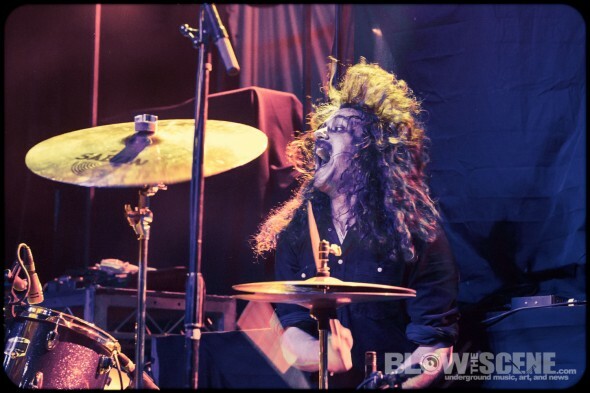 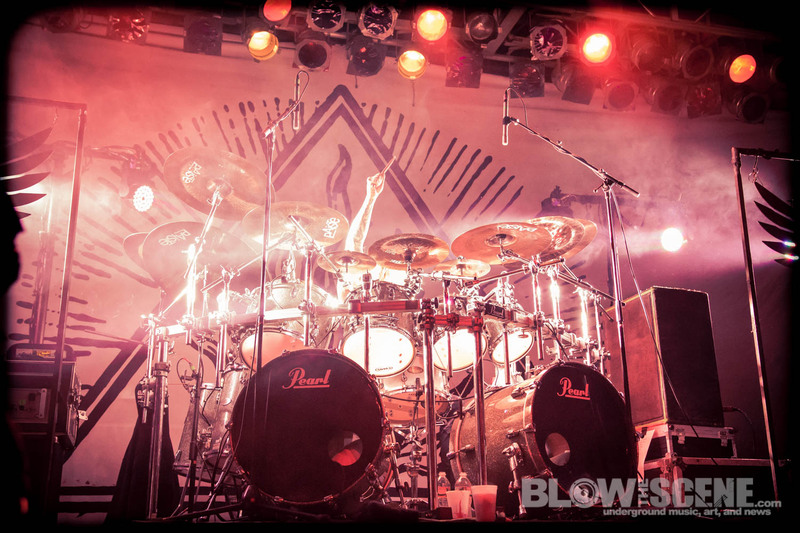 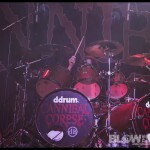 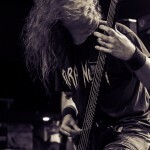 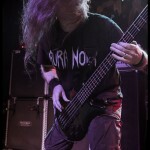 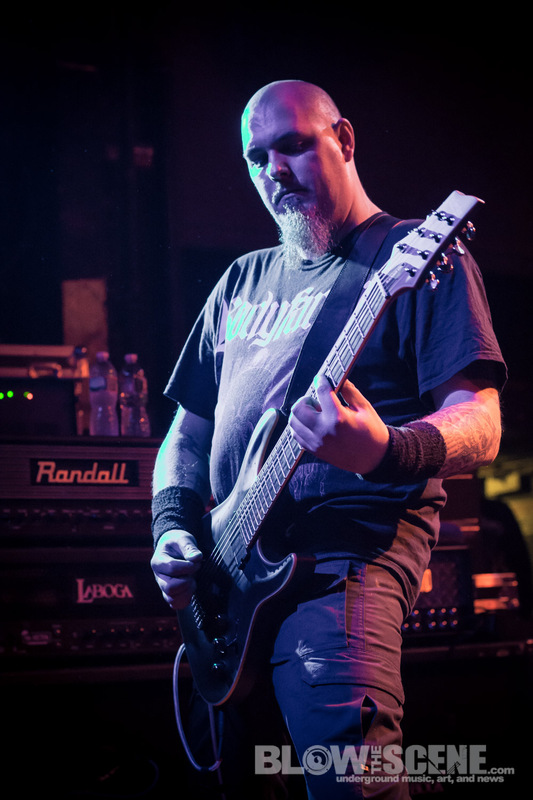 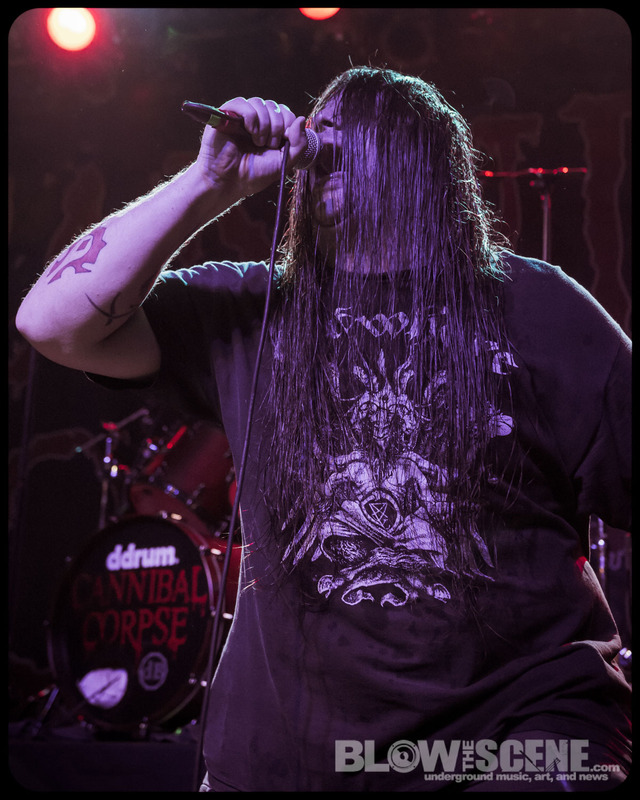 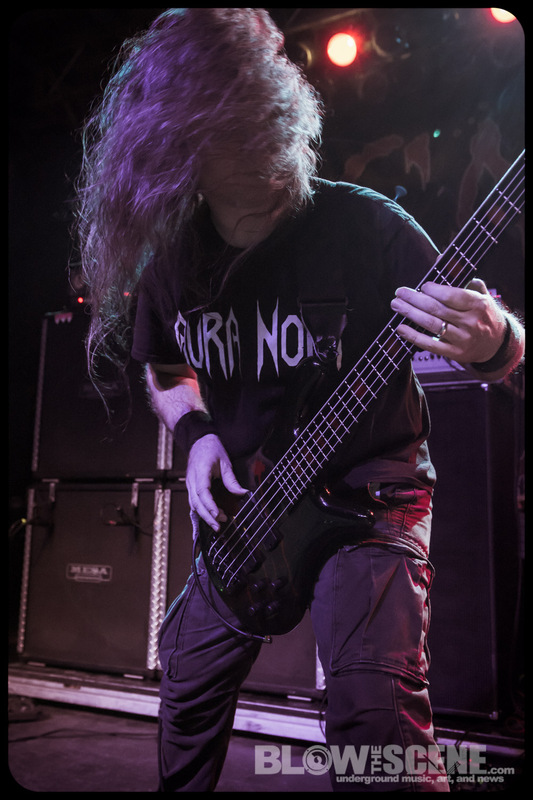 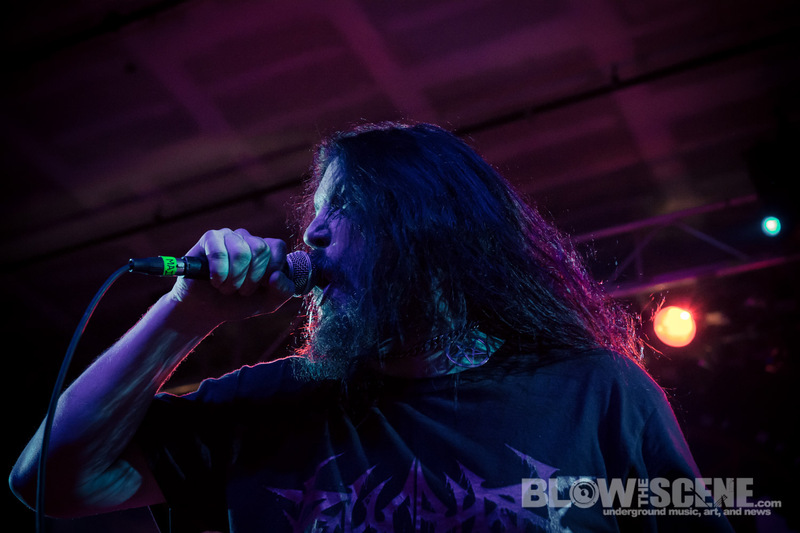 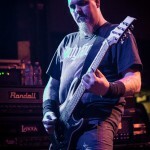 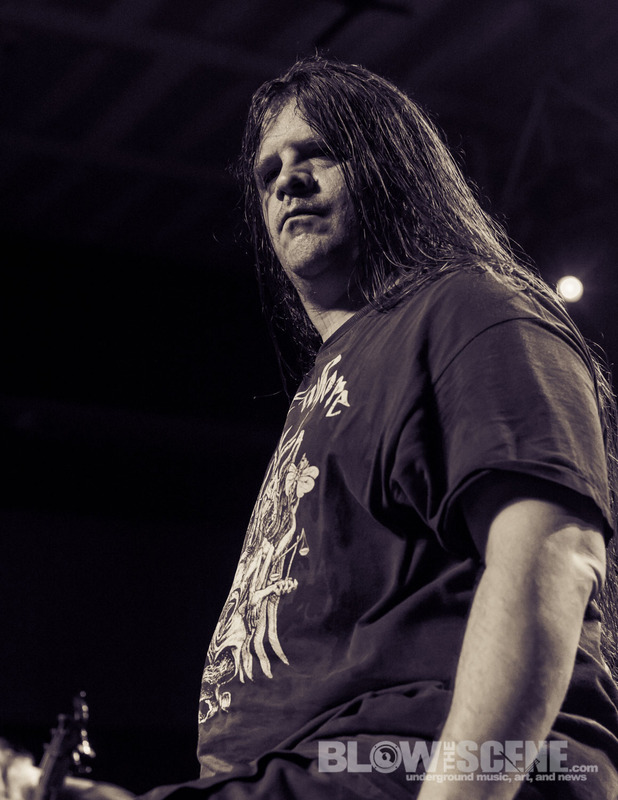 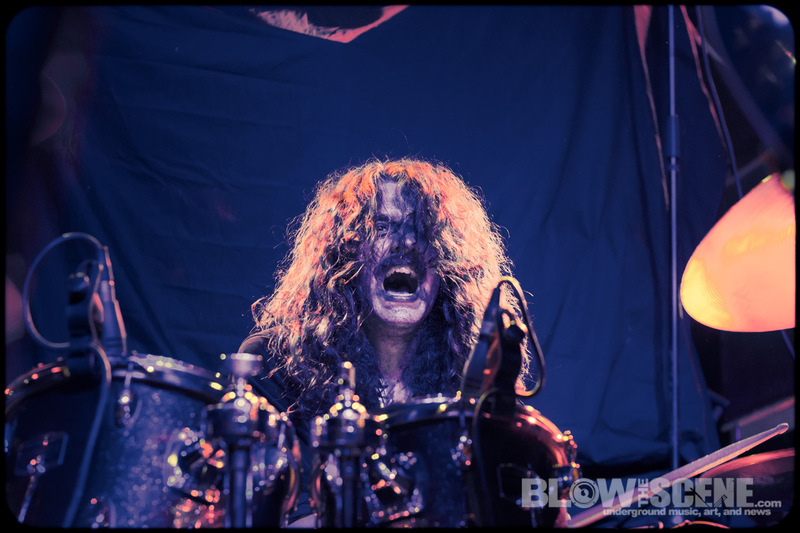 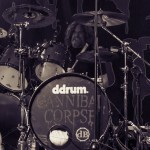 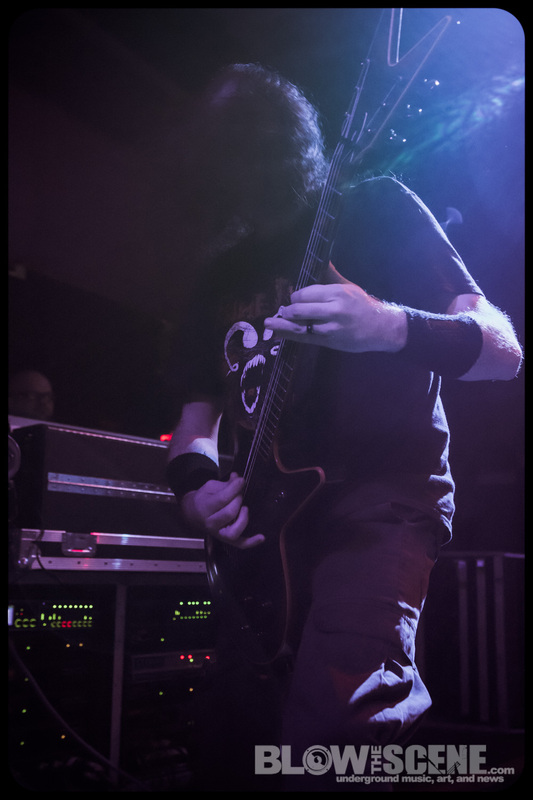 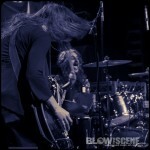 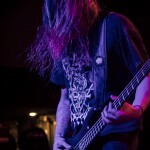 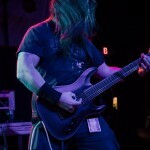 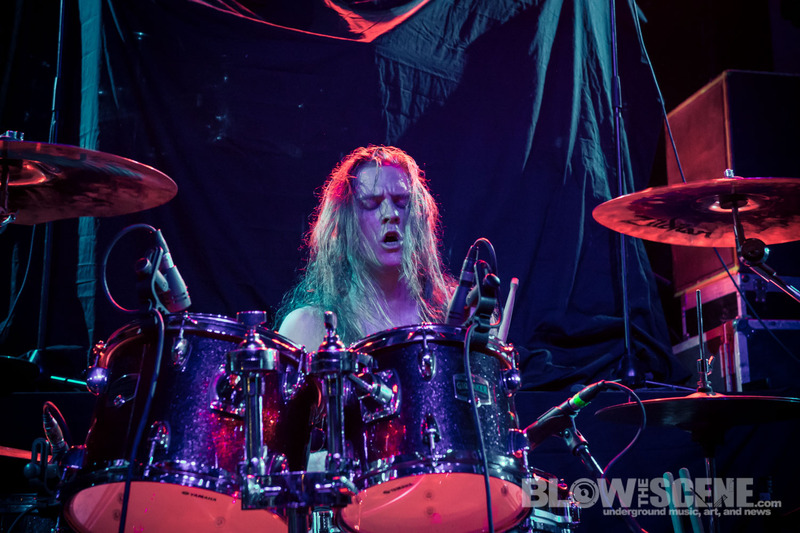 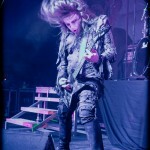 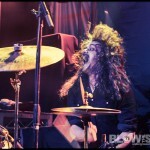 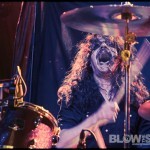 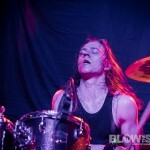 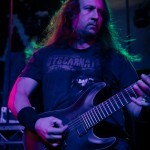 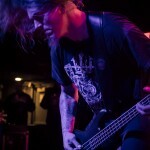 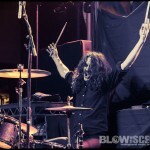 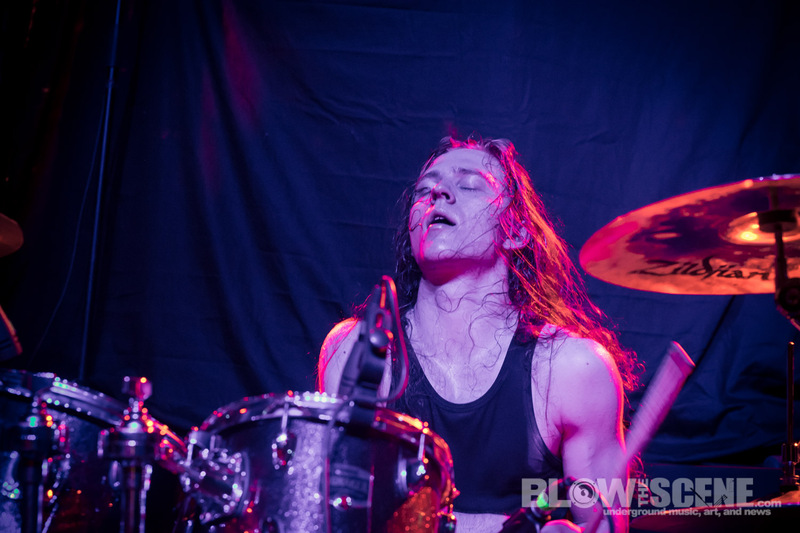 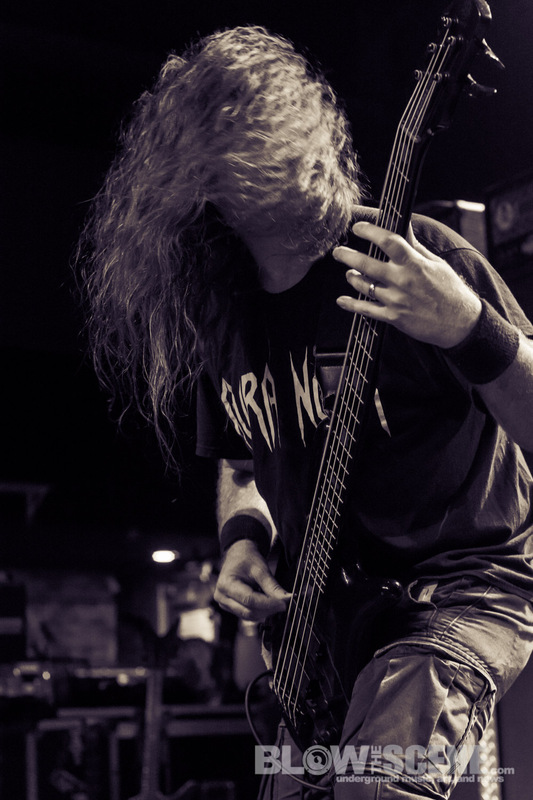 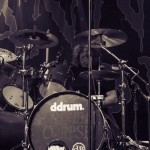 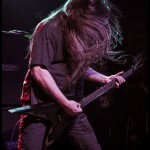 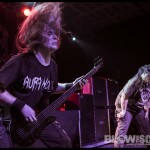 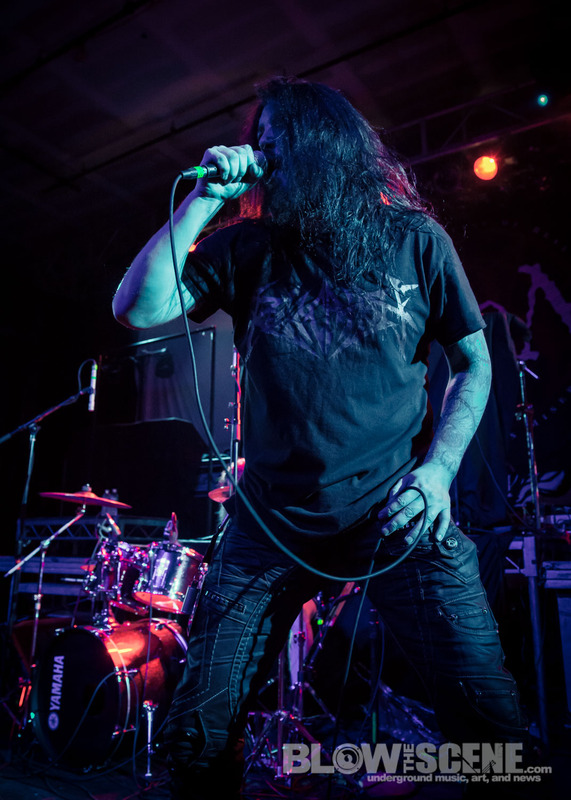 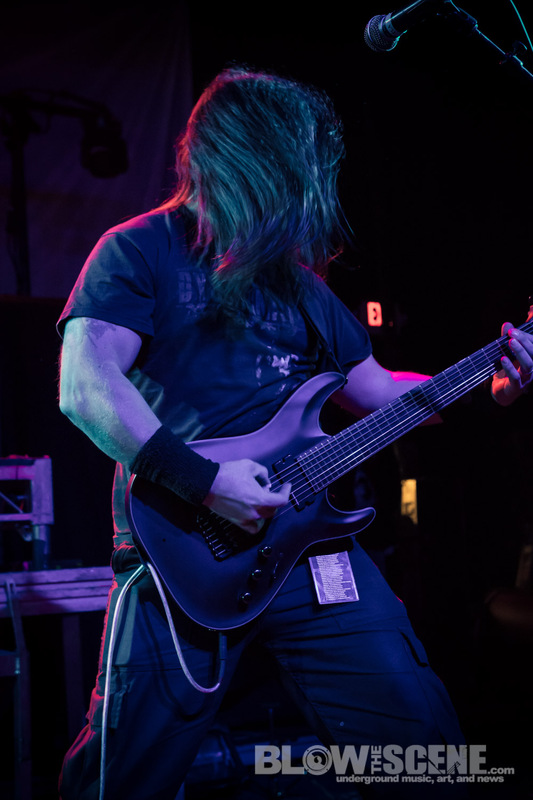 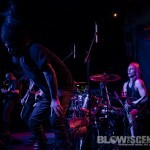 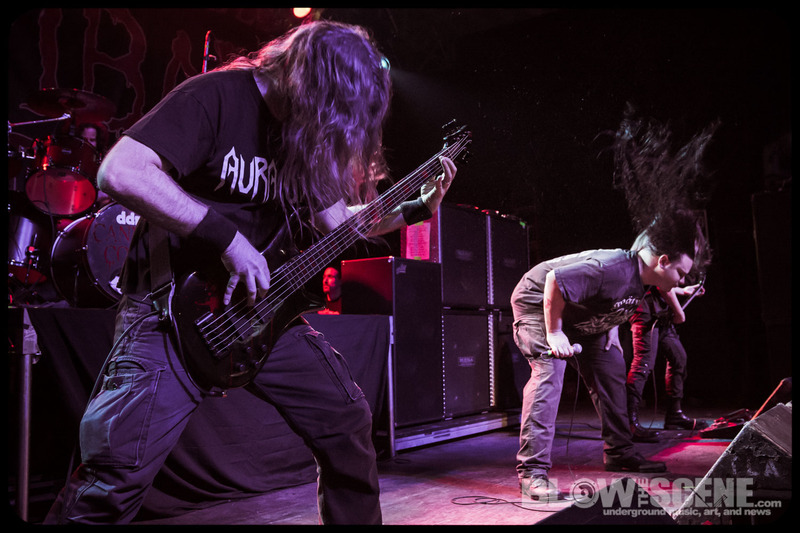 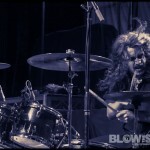 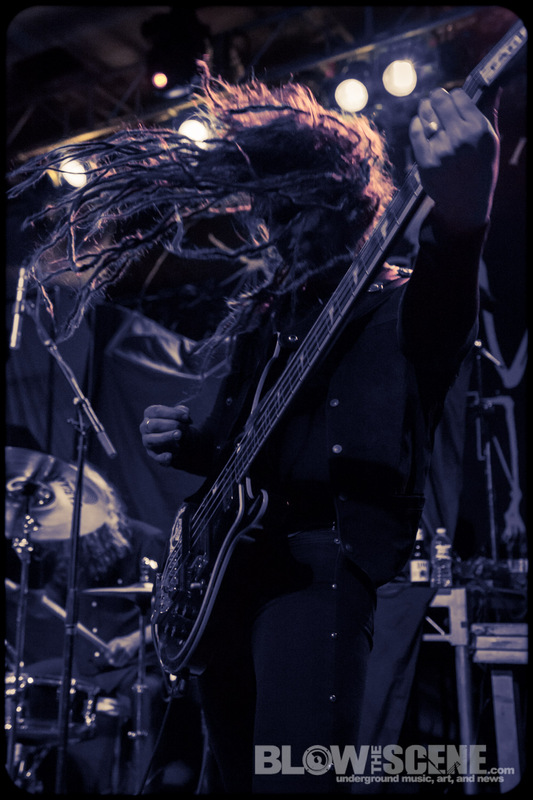 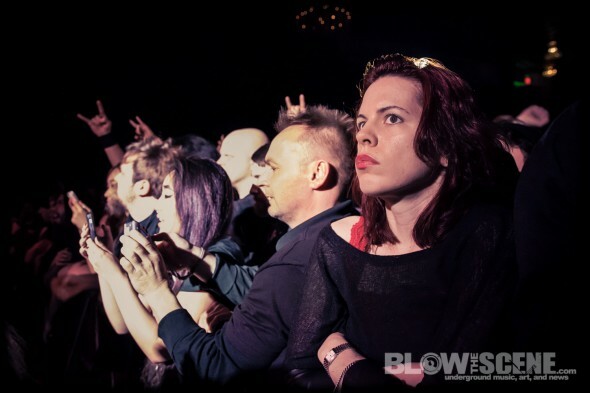 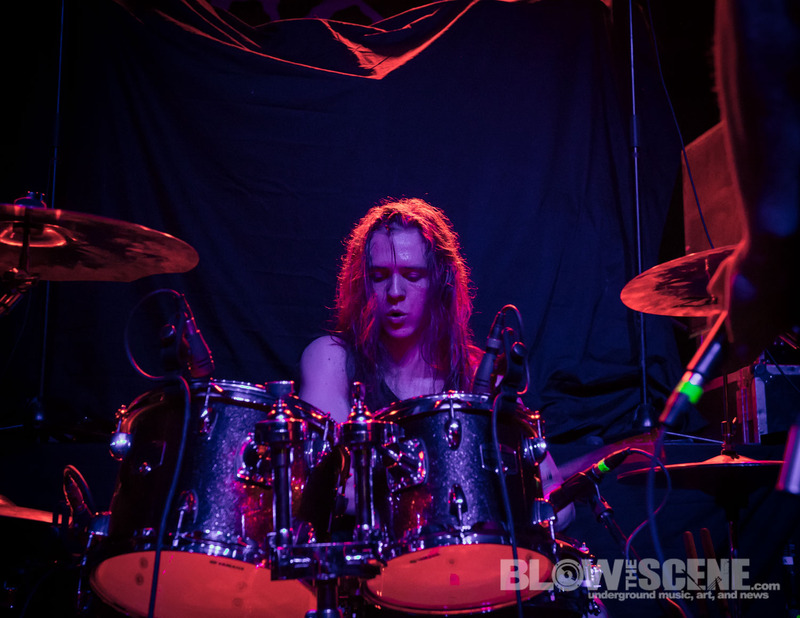 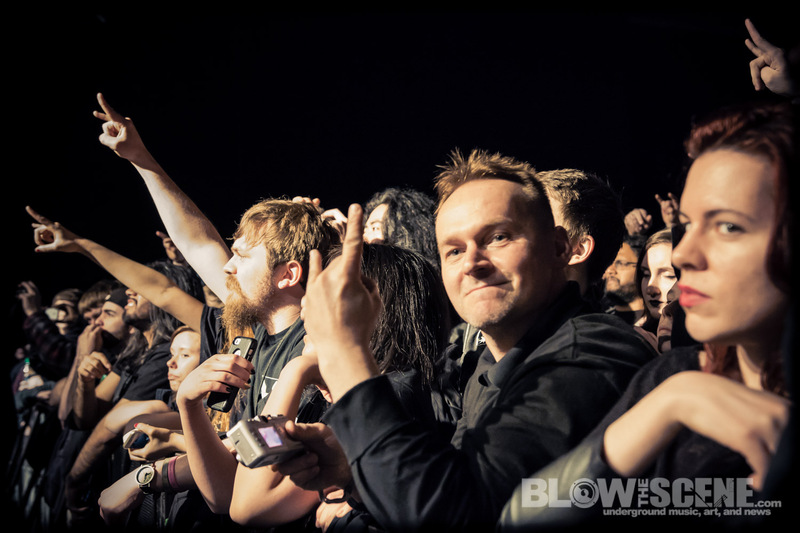 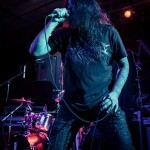 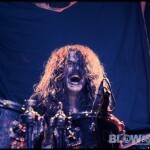 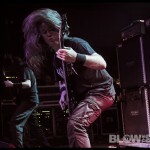 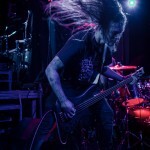 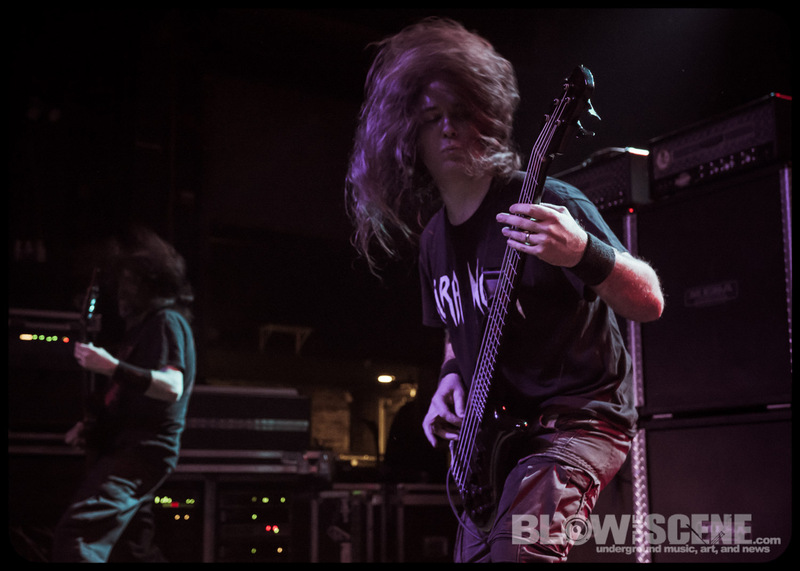 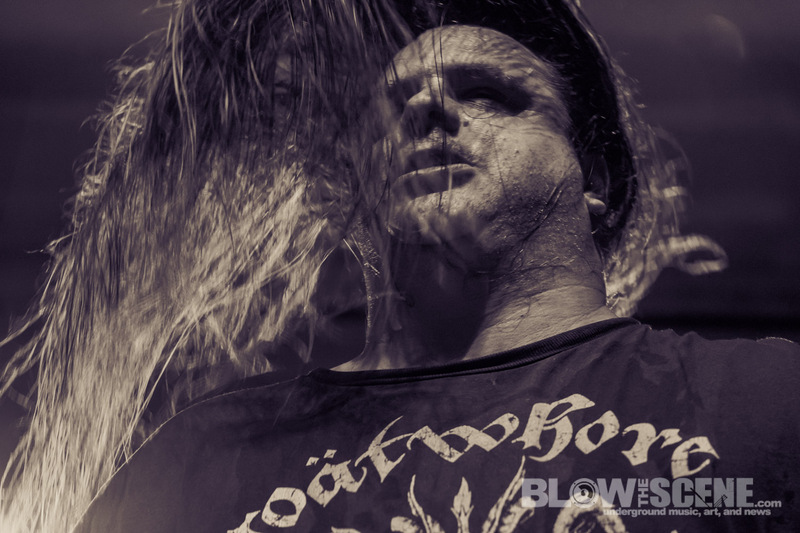 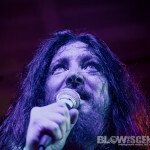 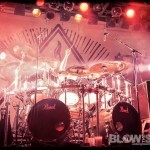 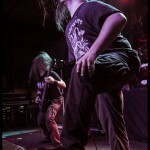 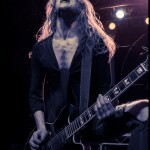 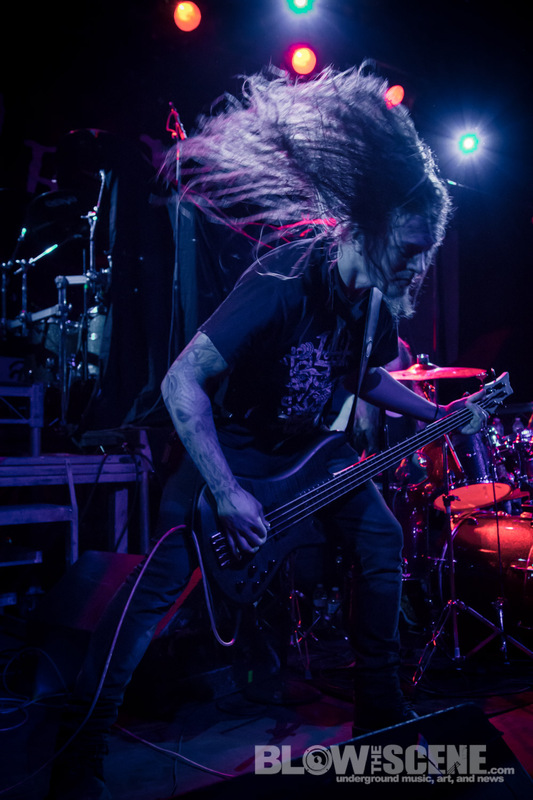 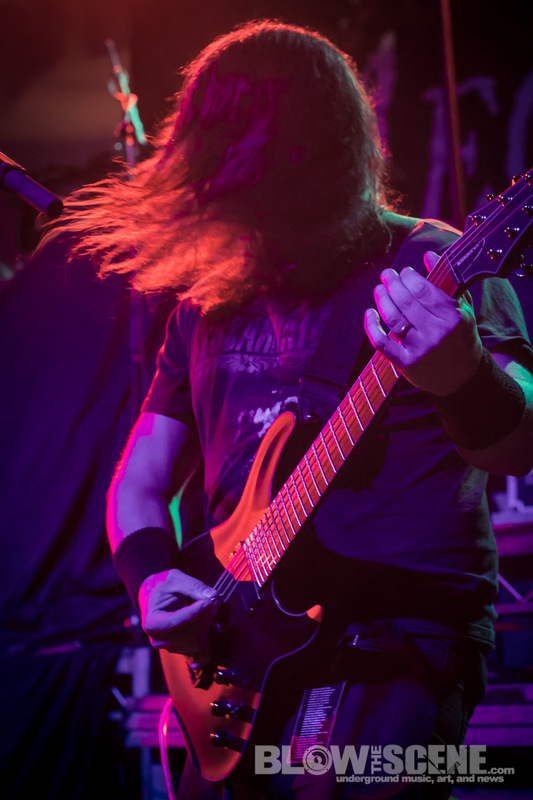 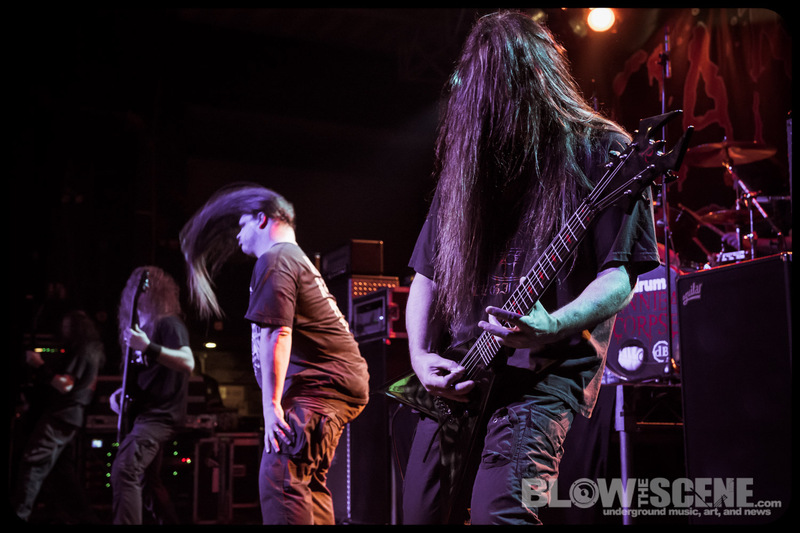 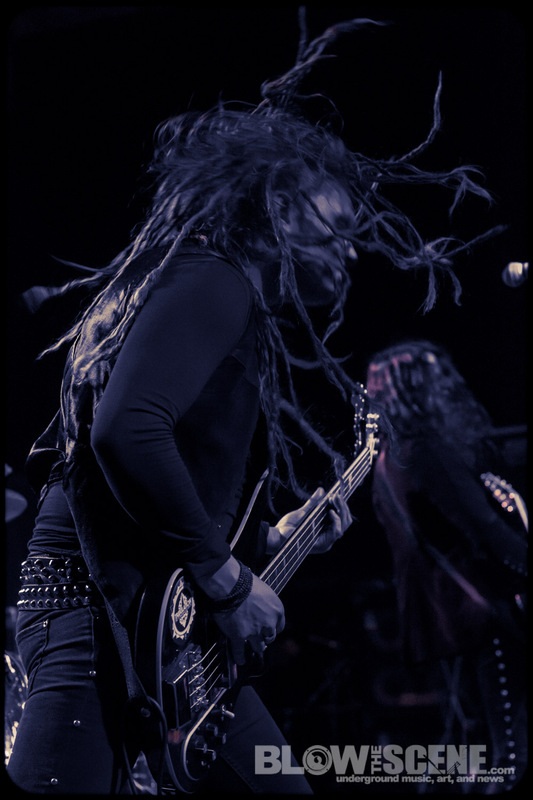 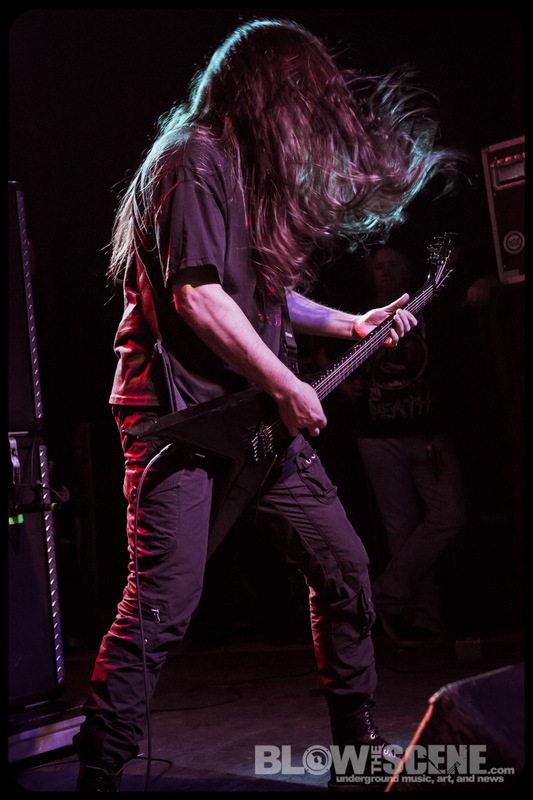 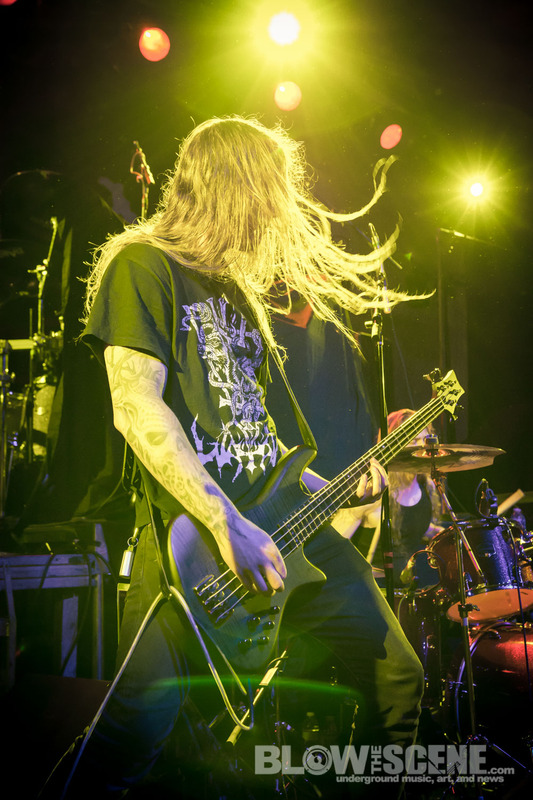 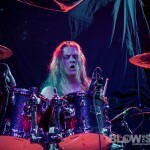 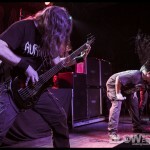 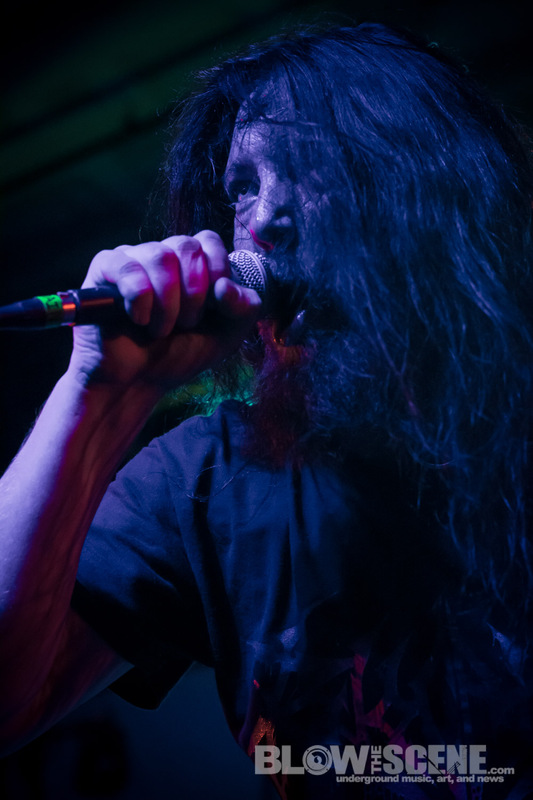 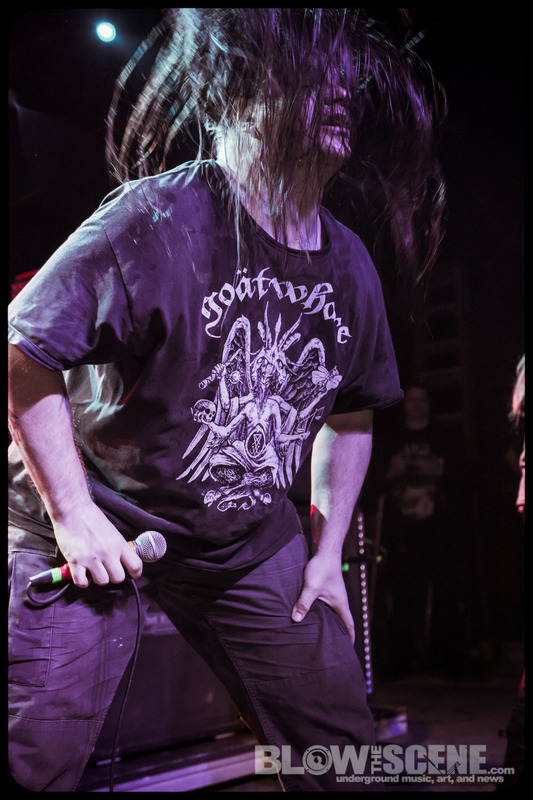 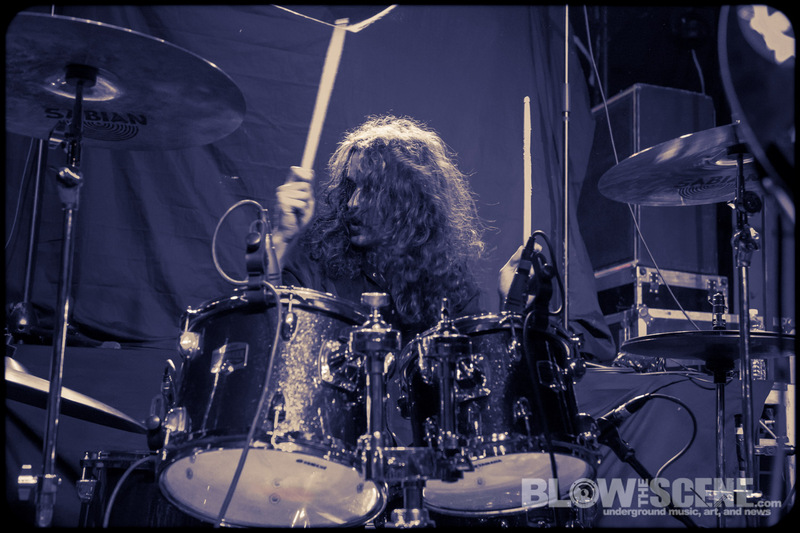 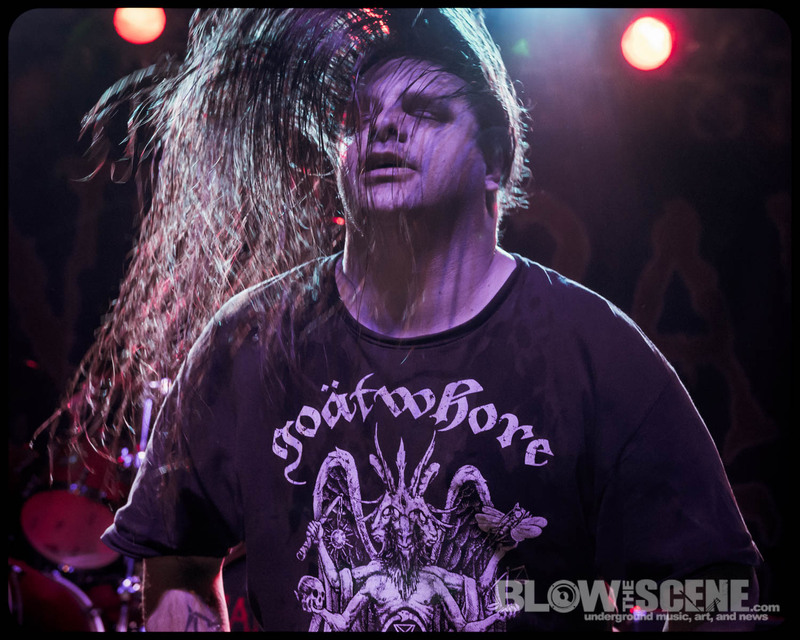 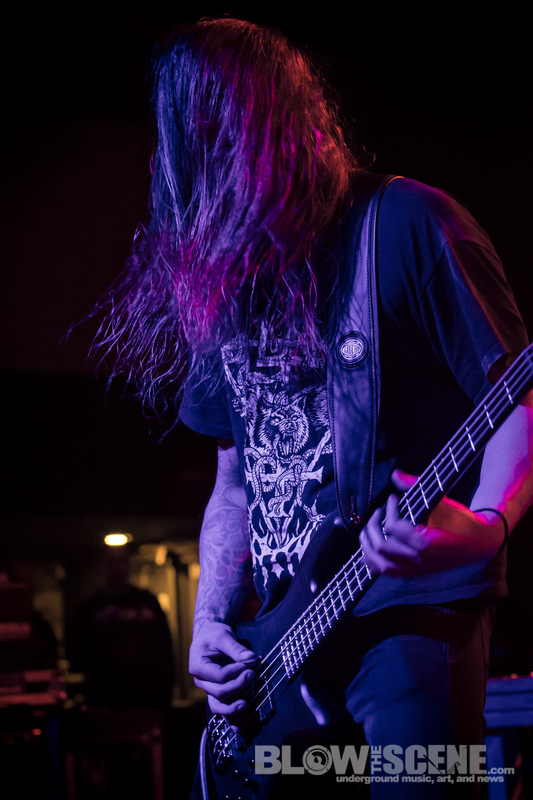 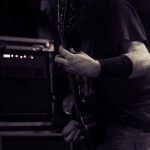 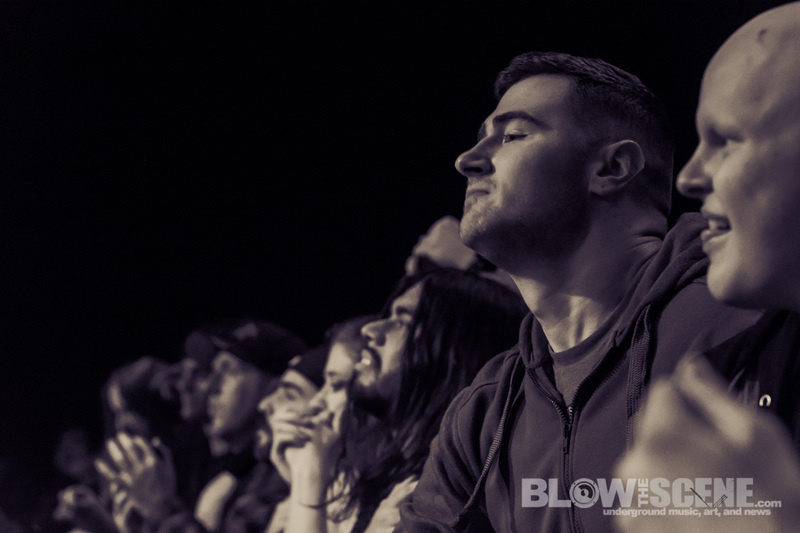 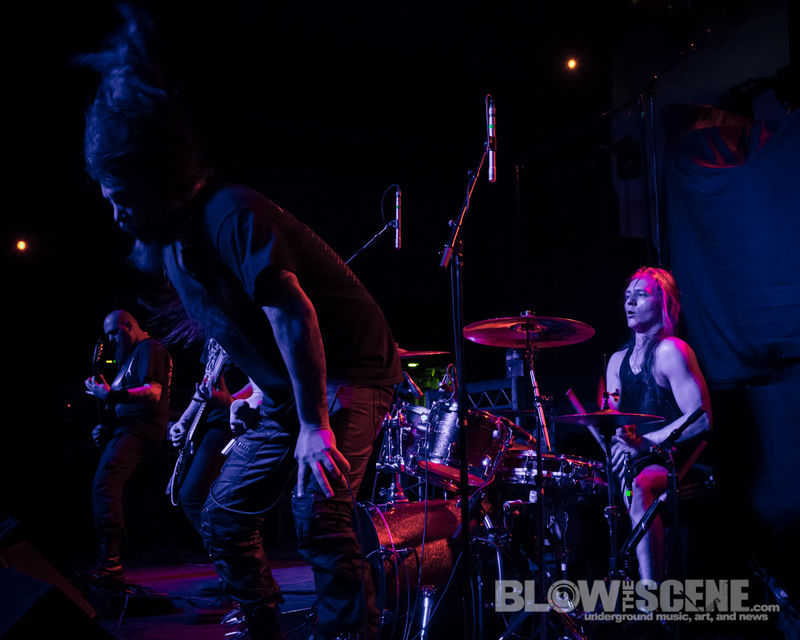 Metal titans Cannibal Corpse and Behemoth headlined an evening at Philly’s TLA venue with special guests Tribulation and Aeon with BTS photographer Dante Torrieri on point, having laid out the photo evidence below the fold. 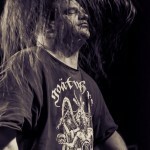 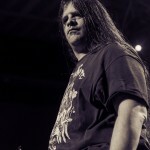 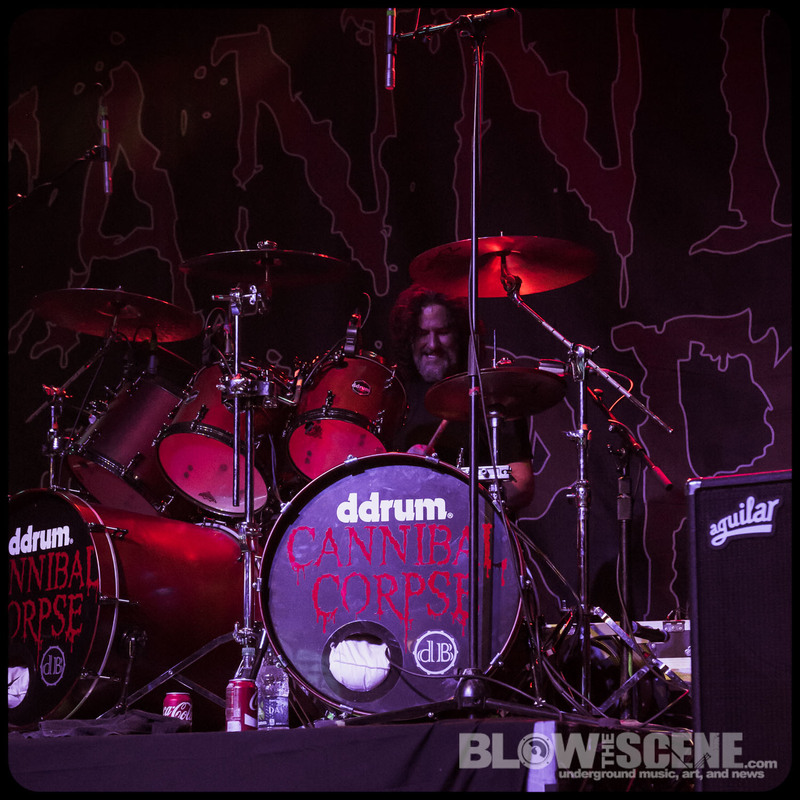 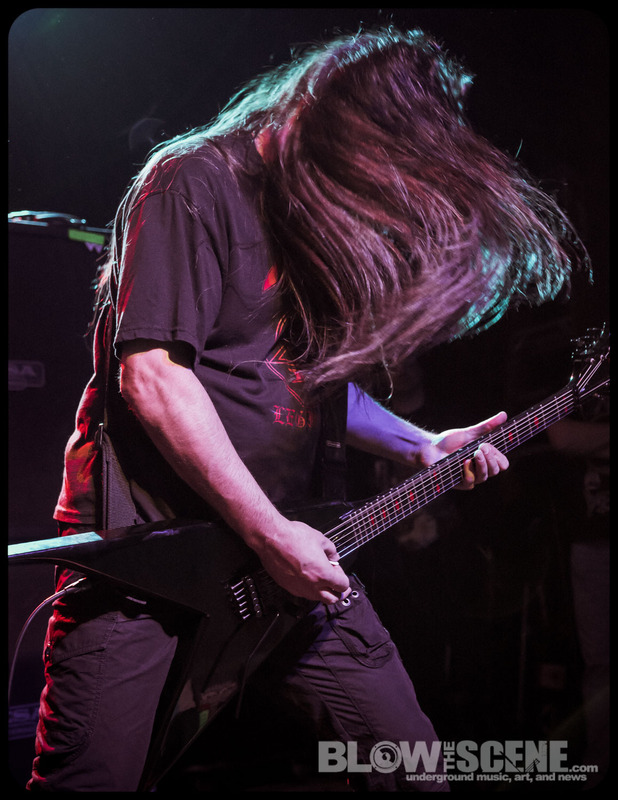 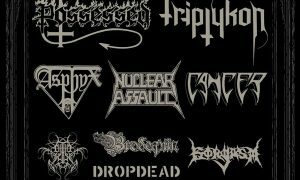 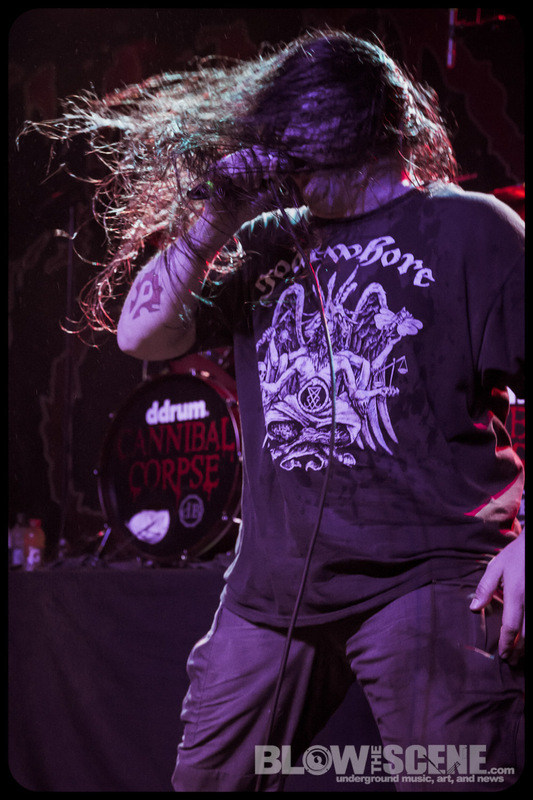 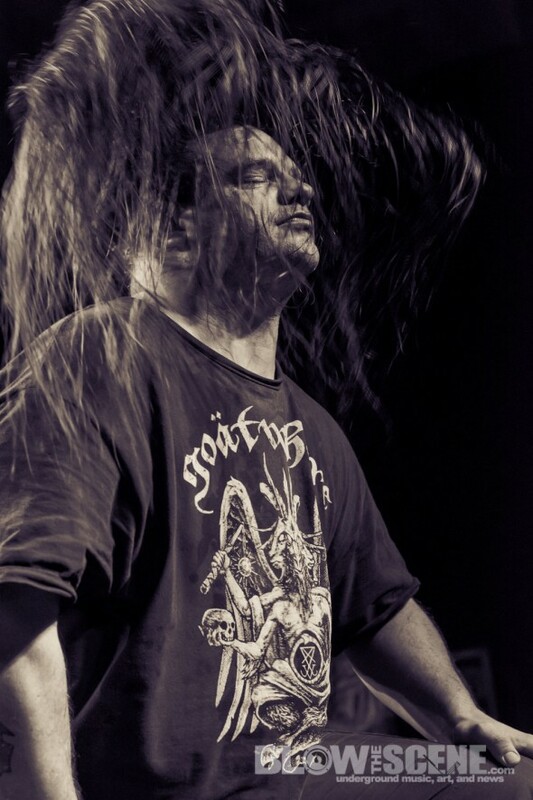 Cannibal Corpse has spent the summer of 2015 conquering Europe, with included stops at Hellfest, Wacken, Bloodstock, Brutal Assault, Party.San, Copenhell, Graspop, and numerous club shows. 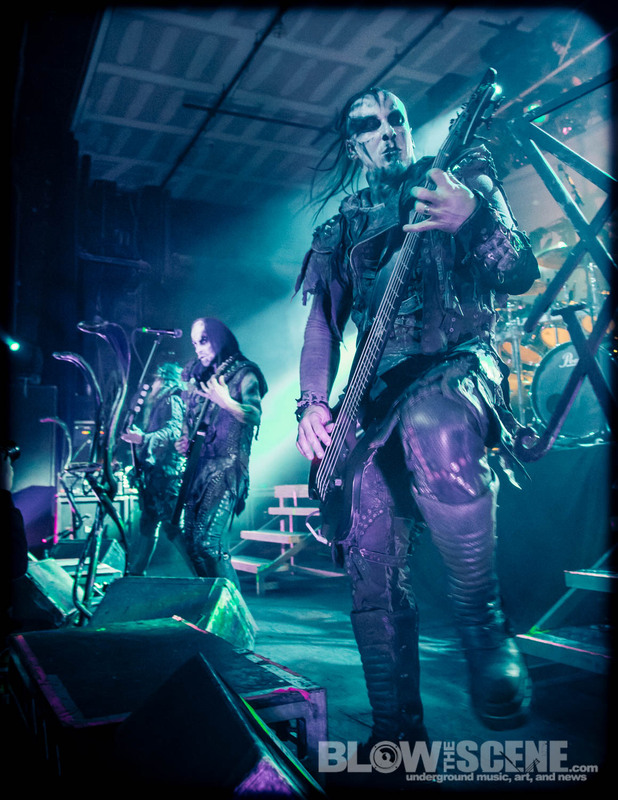 But they aren’t even close to being finished with 2015. 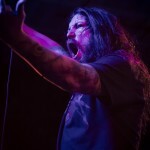 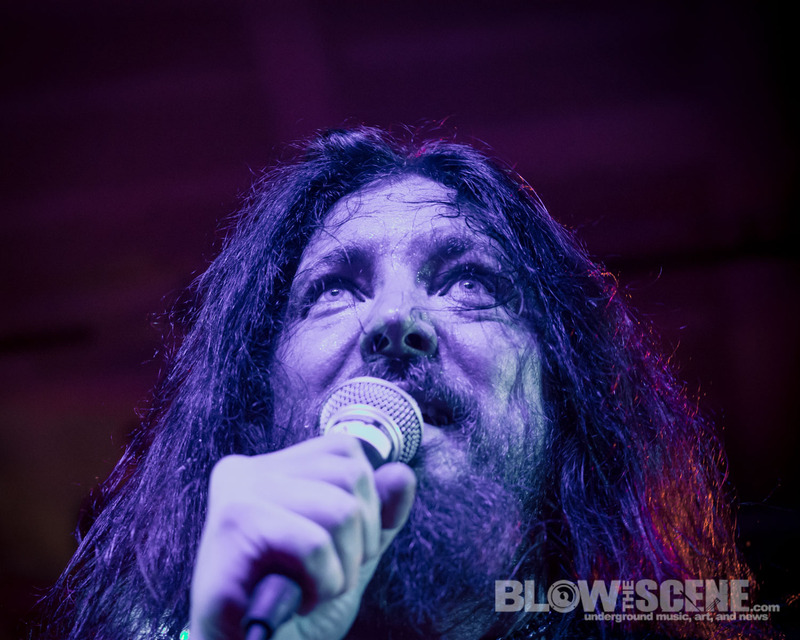 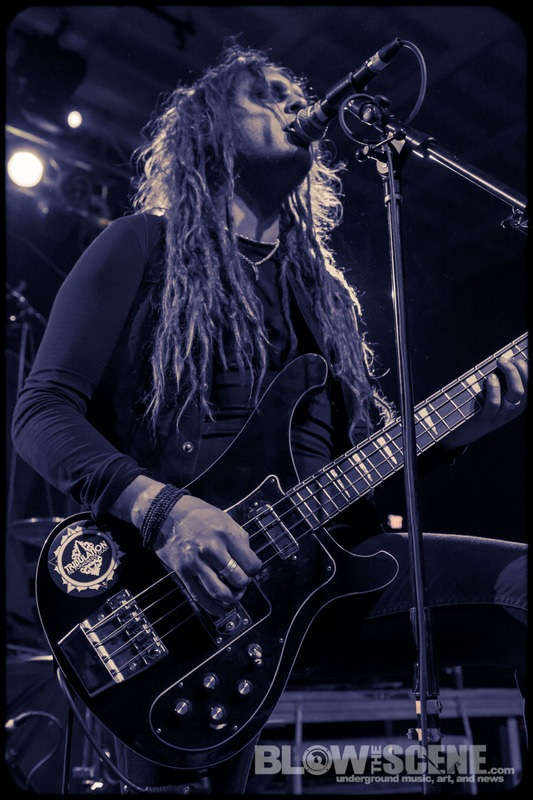 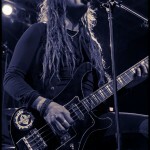 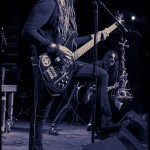 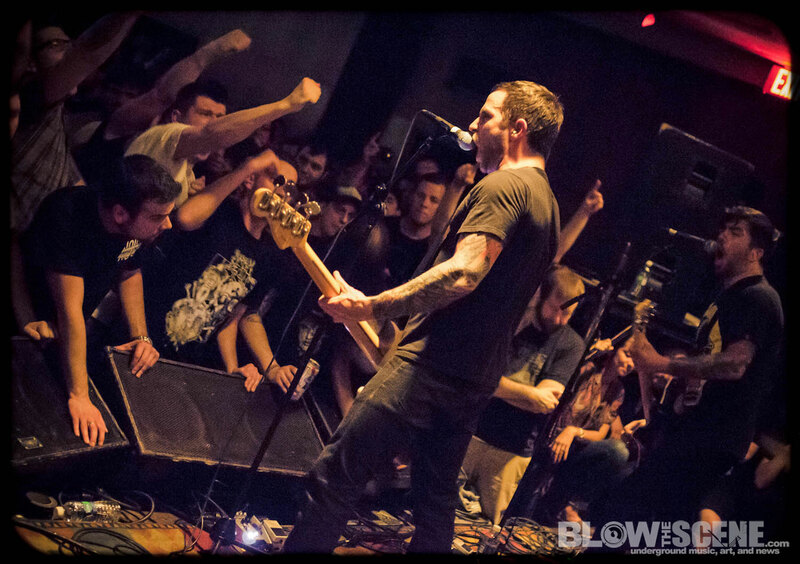 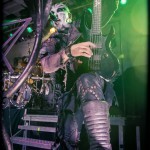 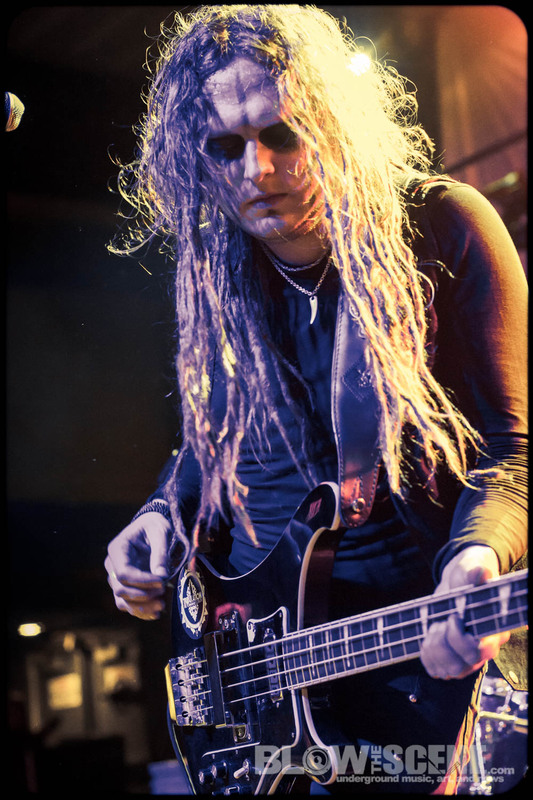 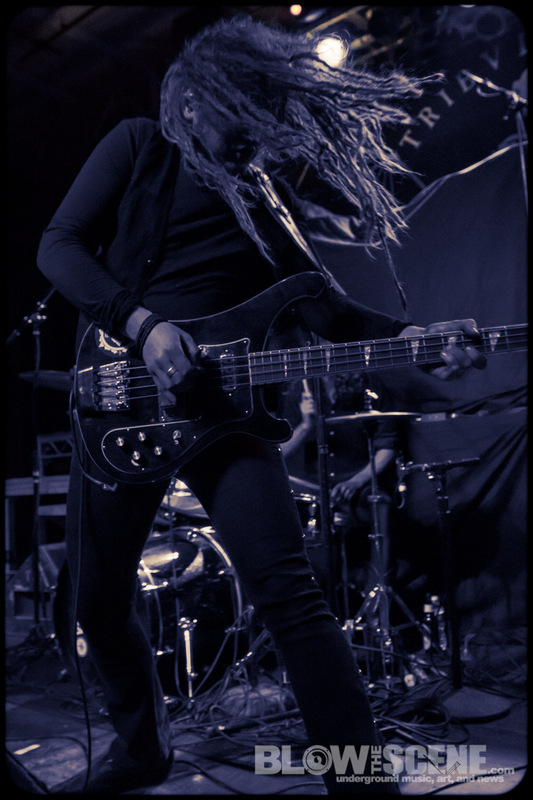 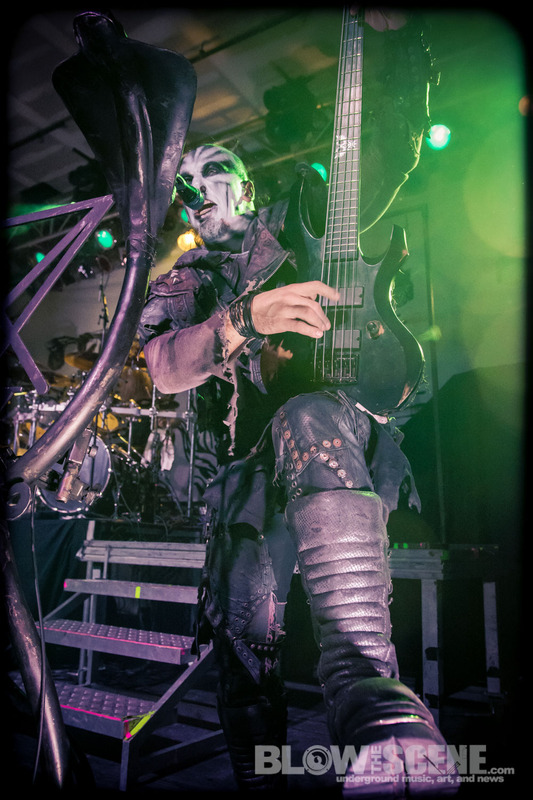 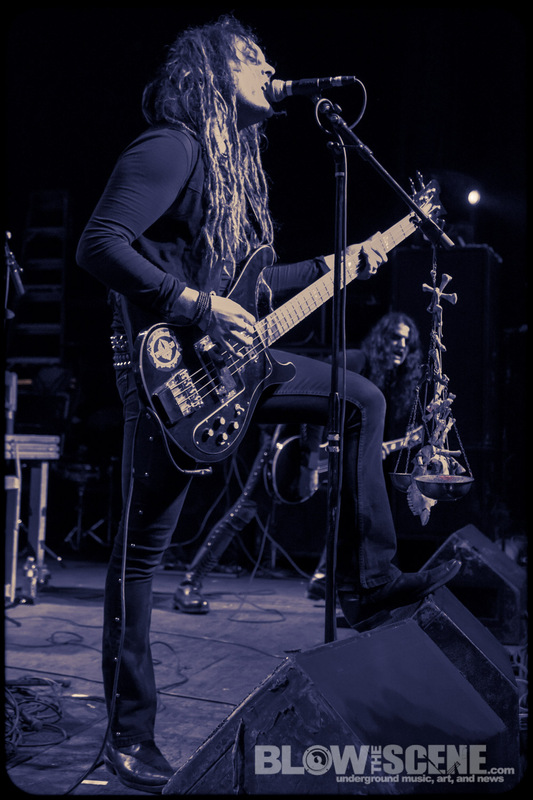 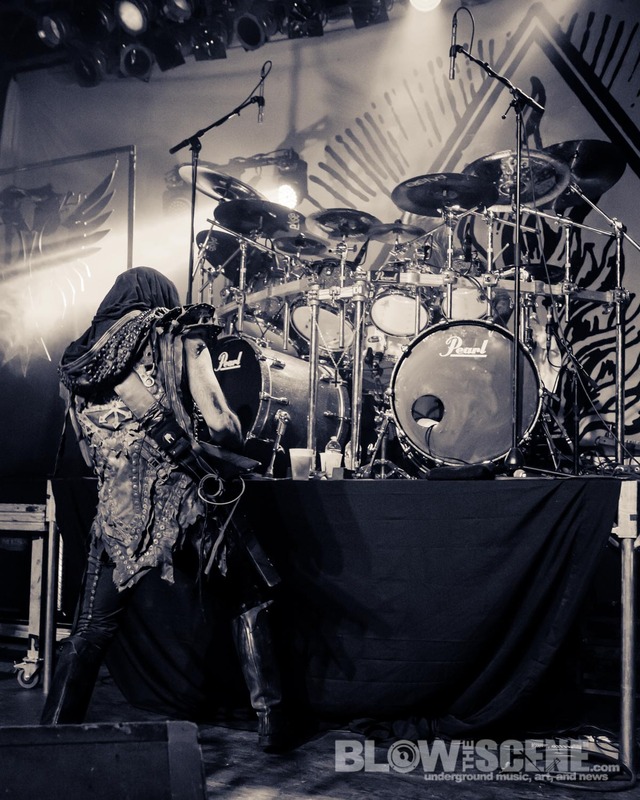 The band recently revealed their plans for a massive US tour this Fall, bringing a brutal package of acts with them across the United States beginning October 8th, and running through November 7th. 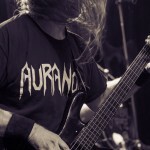 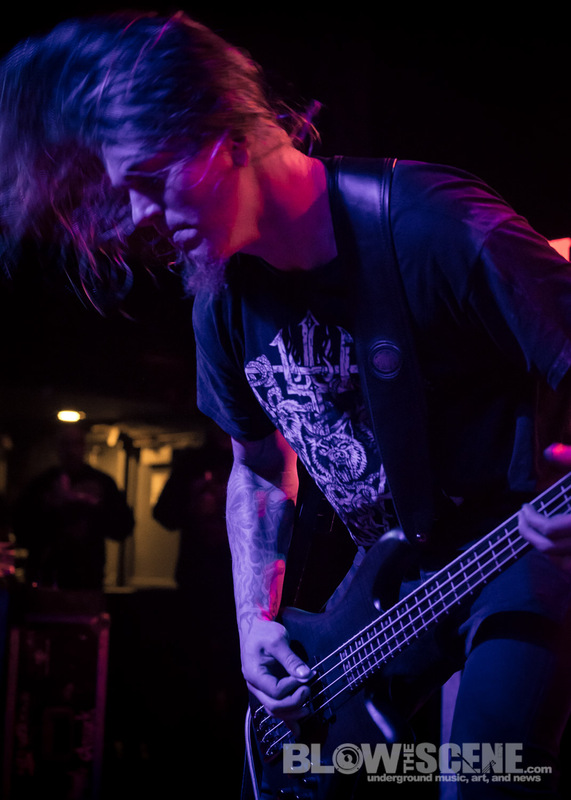 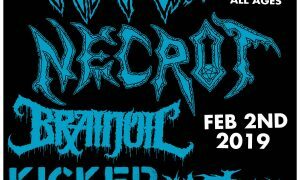 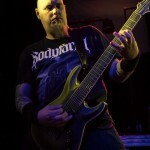 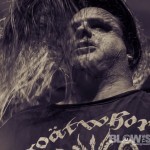 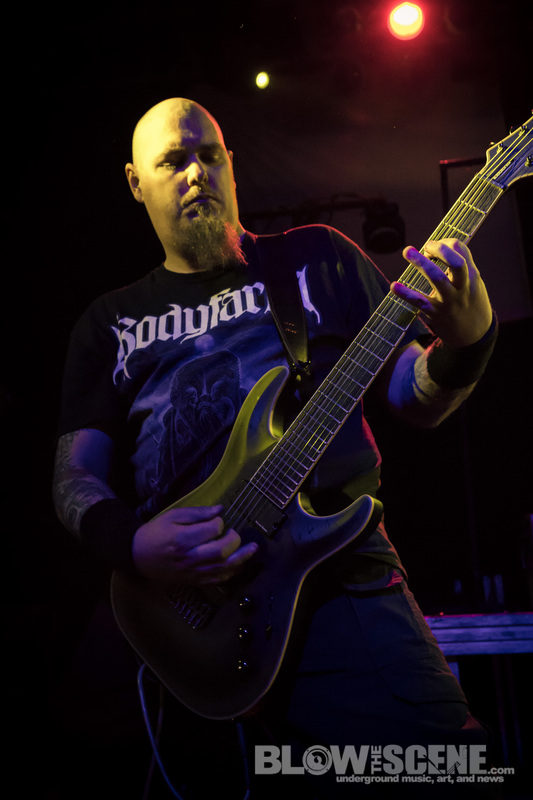 Direct support is slated to come from Metal Blade labelmates, Cattle Decapitation, preceded by Sweden’s Soreption, plus a local opener on each show. 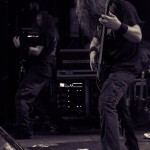 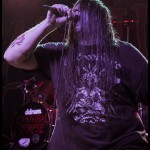 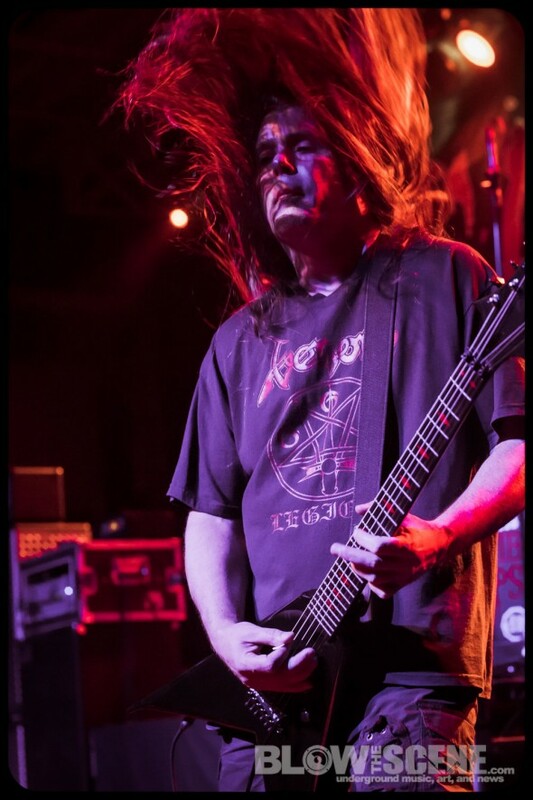 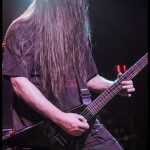 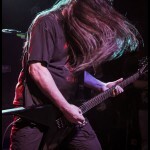 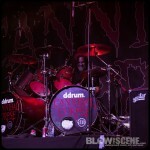 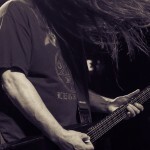 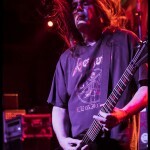 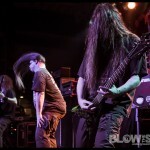 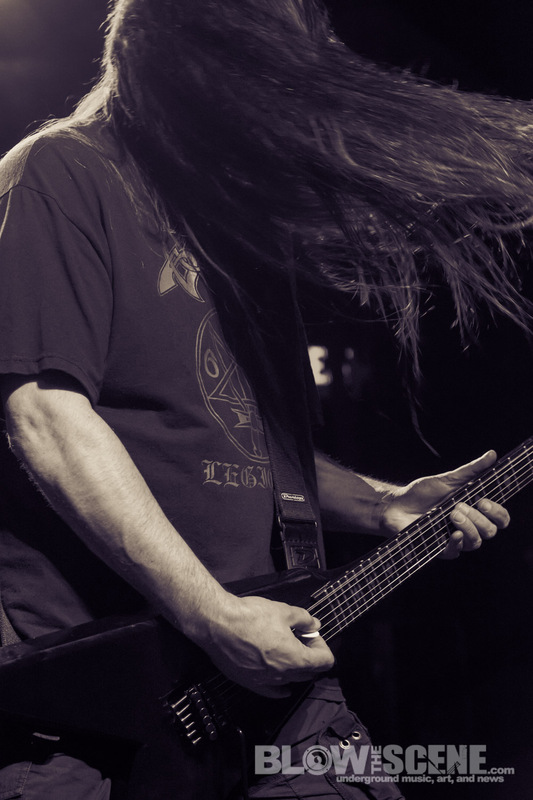 A Skeletal Domain, the latest full-length from Cannibal Corpse and thirteenth full-length overall, debuted at an astounding #32 on Billboard’s Top 200 chart, making it the highest charting record in the band’s storied history. 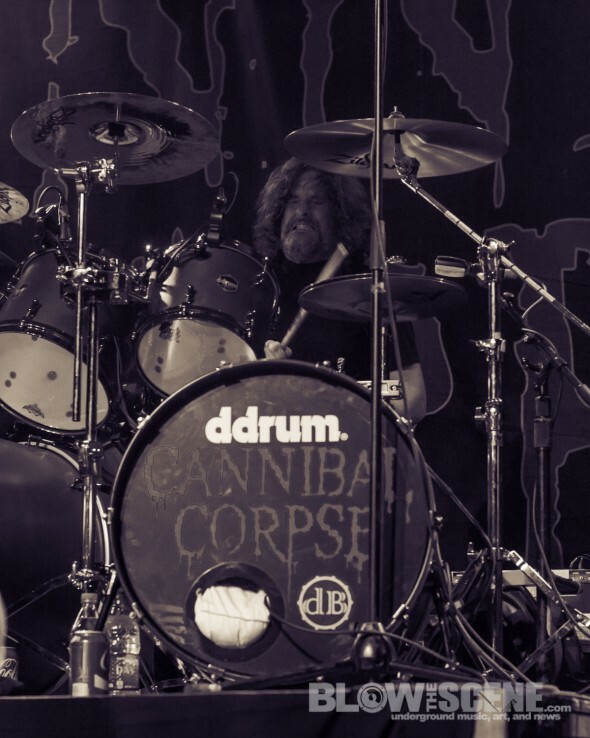 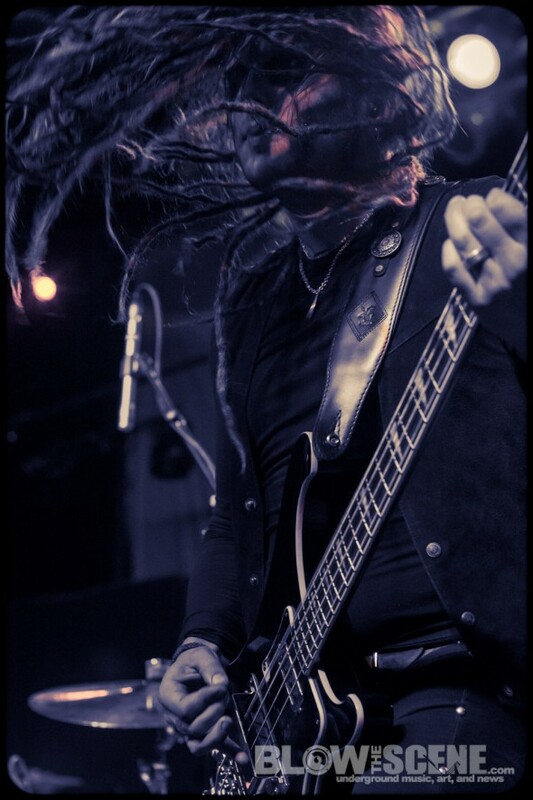 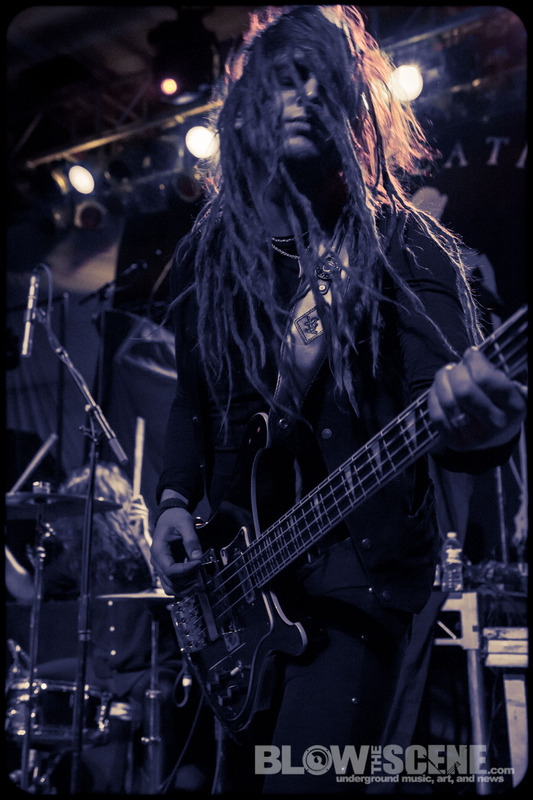 Produced by Mark Lewis (The Black Dahlia Murder, DevilDriver) at Audio Hammer Studios in Florida, the record boasts twelve ravenous tracks of confrontational, meticulously-executed ill-omened brutality as only Cannibal Corpse can deliver. 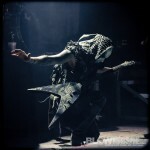 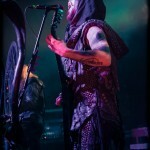 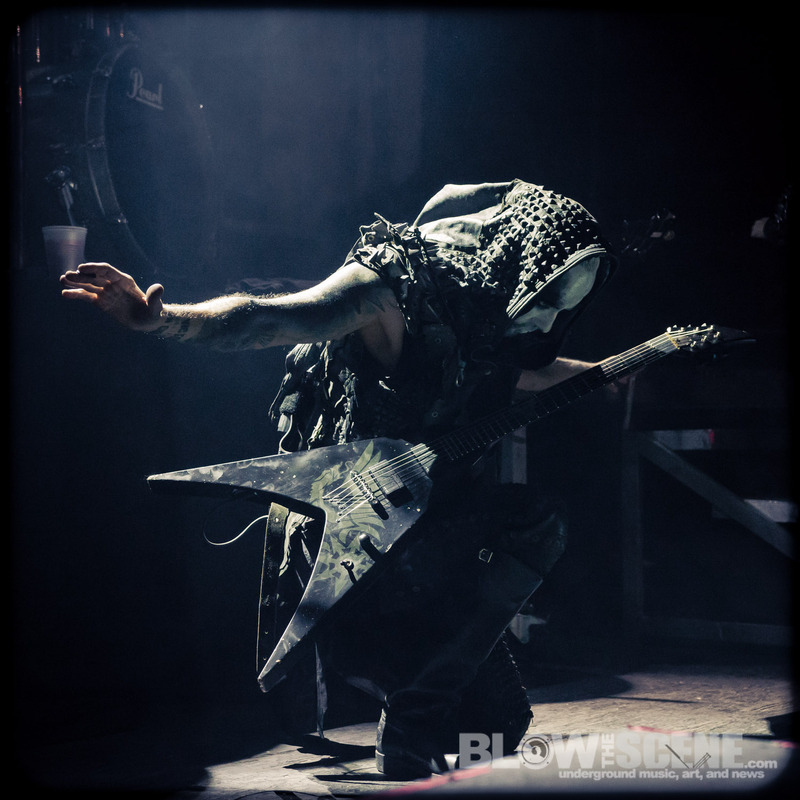 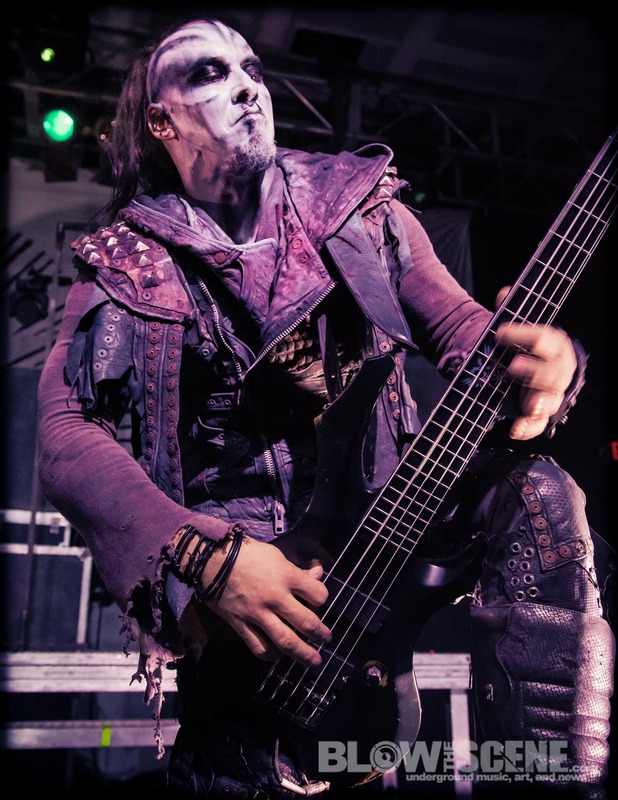 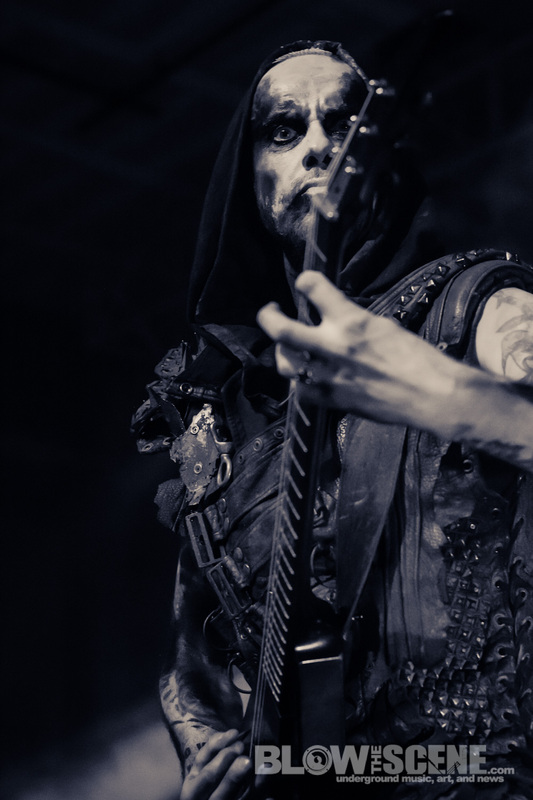 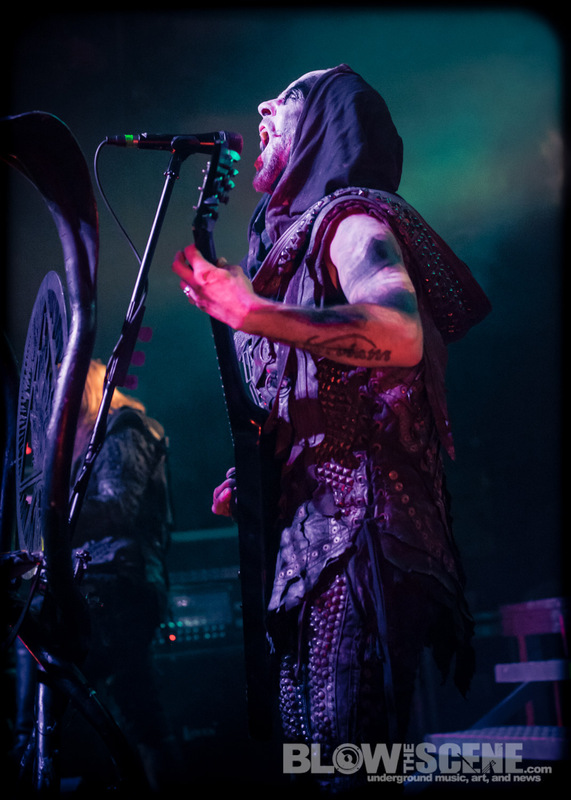 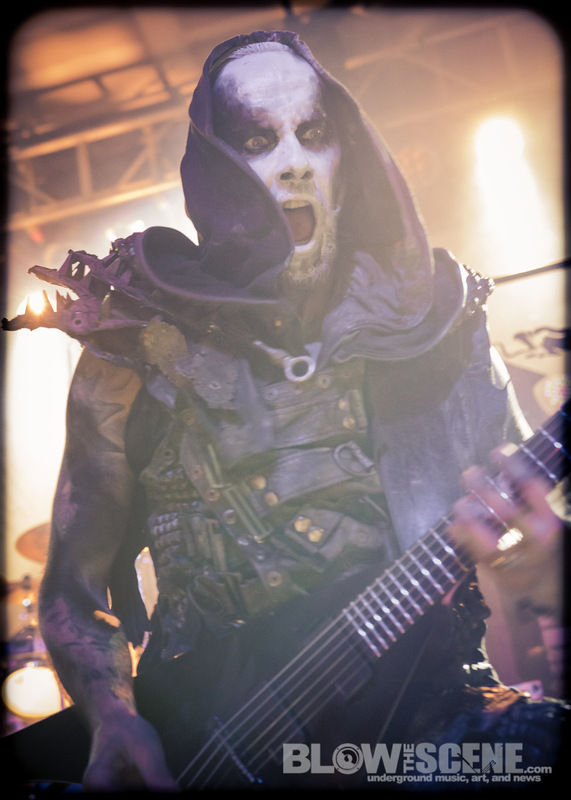 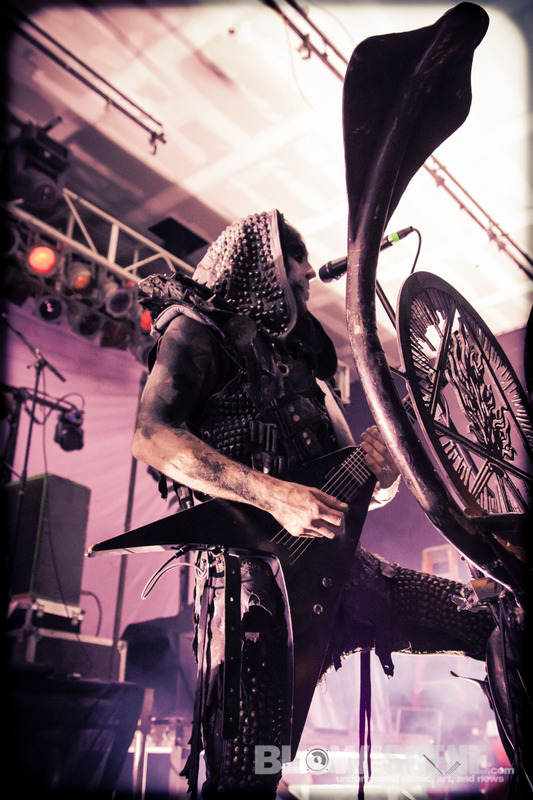 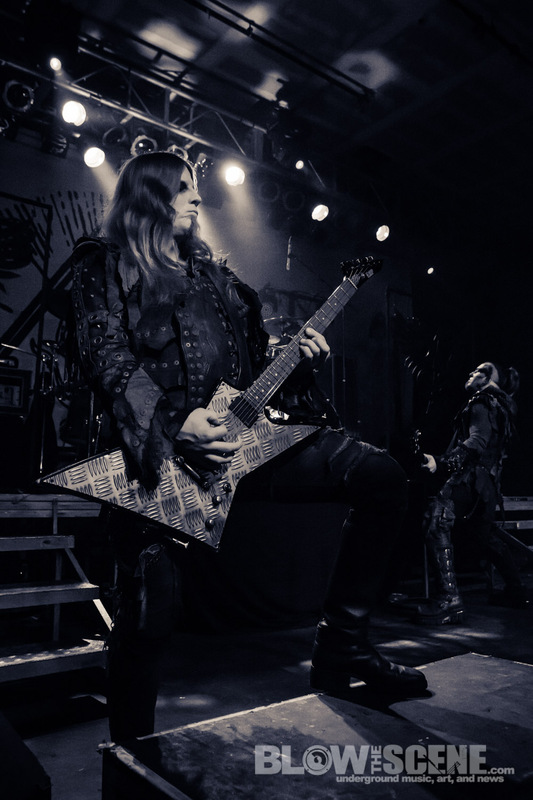 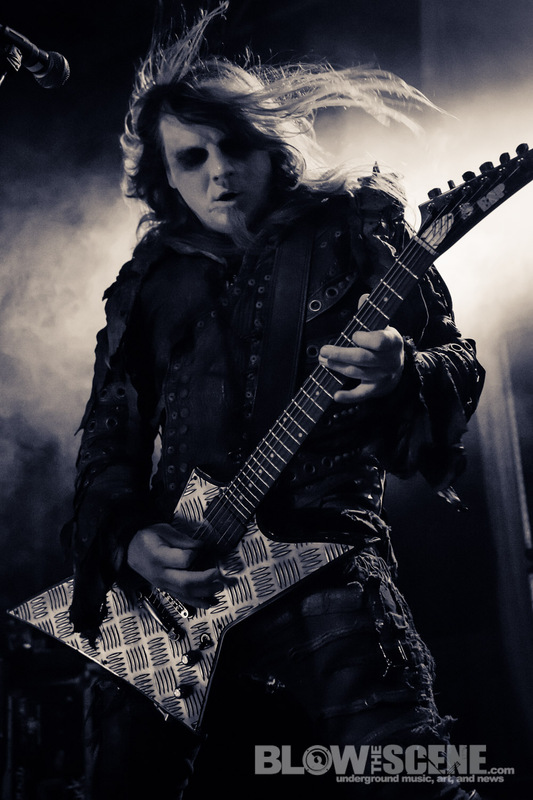 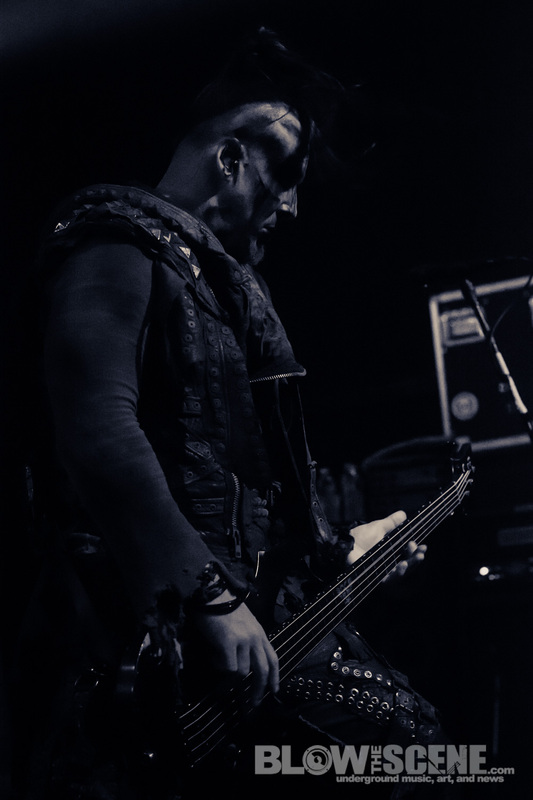 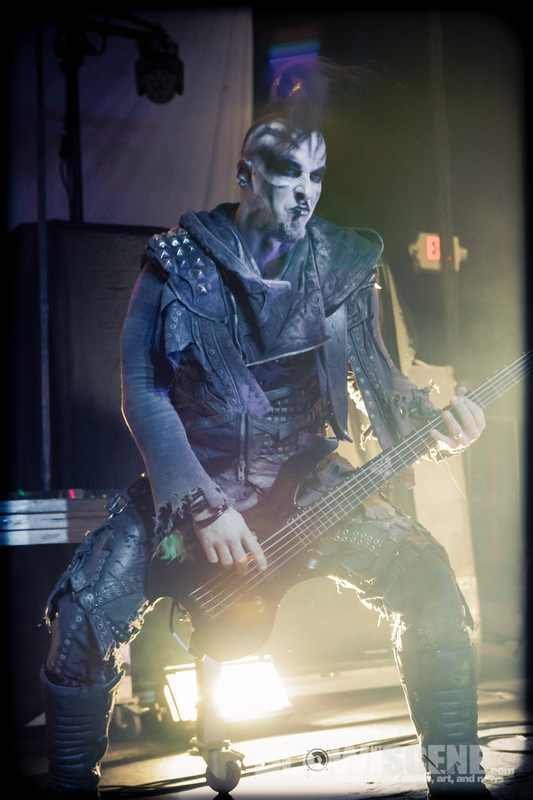 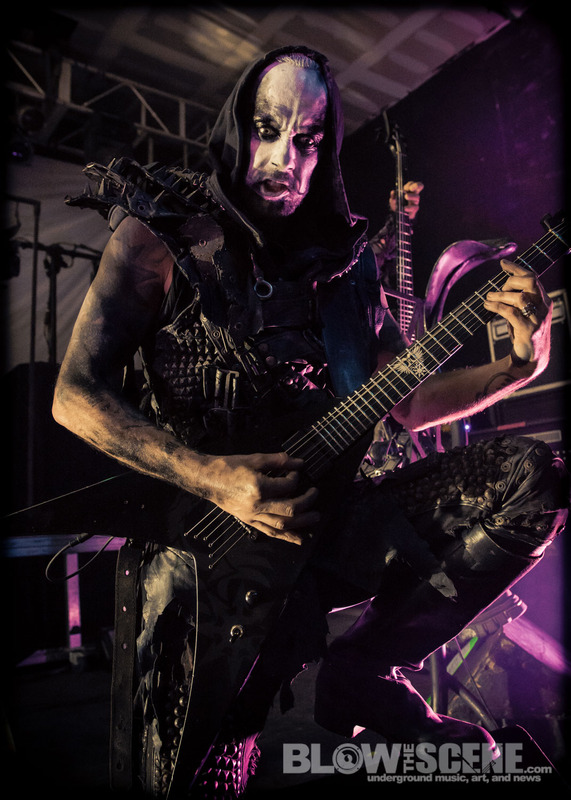 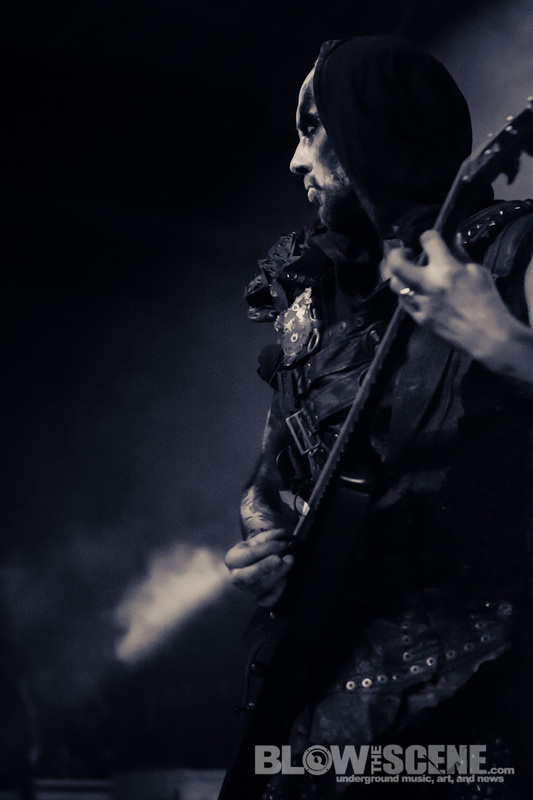 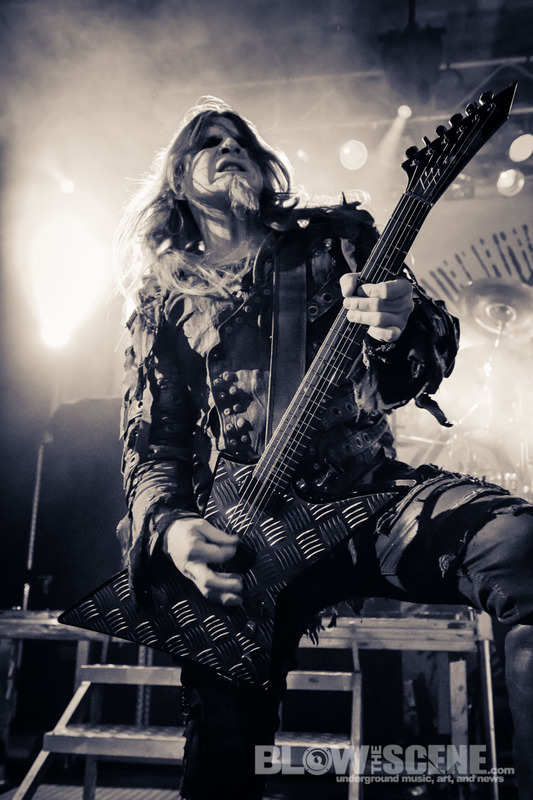 Behemoth‘s The Satanist was released in February of 2014 to overwhelming praise from fans. 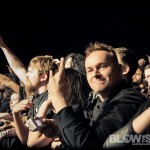 The album debuted at #1 in Poland, and at #34 on the Billboard Top 200 charts in the US, 21 spots higher than their previous album, Evangelion. 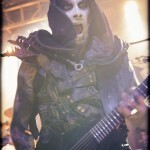 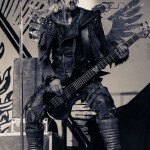 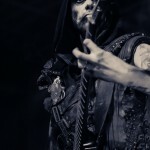 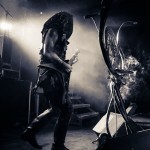 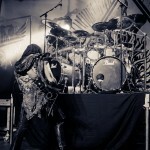 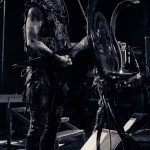 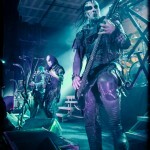 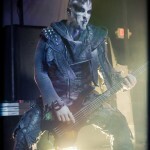 Earlier this year, the band’s official biography, Behemoth: Devil’s Conquistadors, was released to the masses. 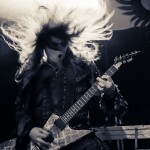 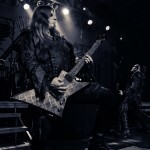 Written by Lukasz Dunaj, the gorgeous, meticulously-designed 490-page, hardcover tome takes an in-depth look at the history of the events that materially influenced the band, their music, their ultimate rise to the upper echelon of metal and becoming a household name in their native homeland of Poland. 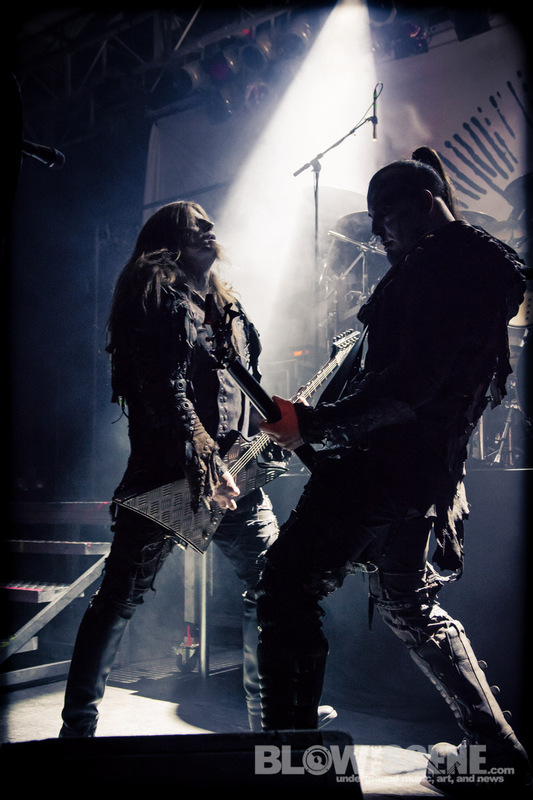 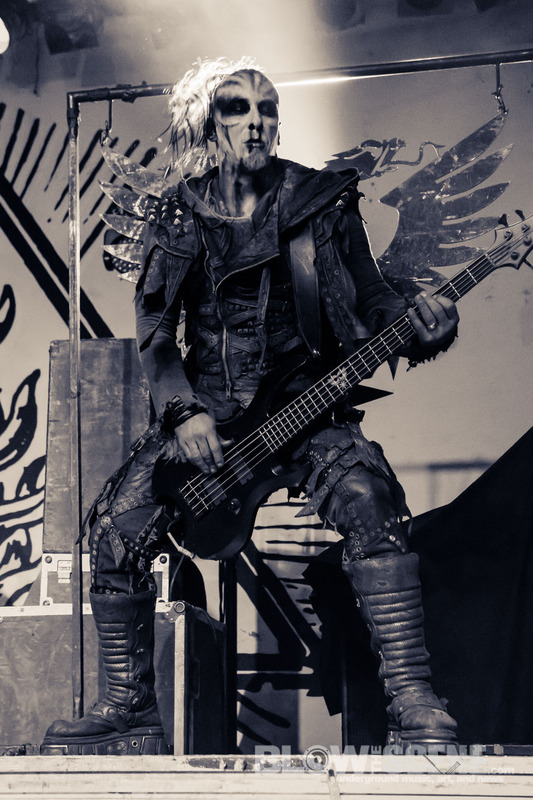 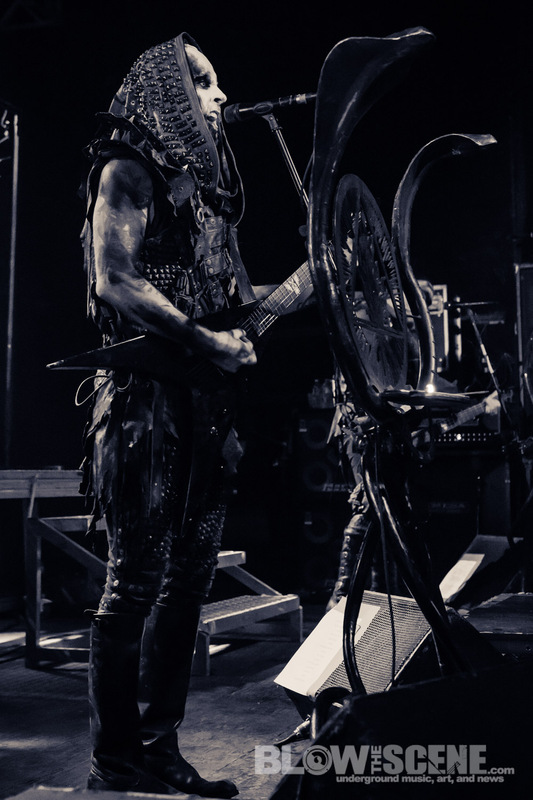 Behemoth: Devil’s Conquistadors includes quotes and anecdotes from current and former Behemoth members as well as interviews with Tomas Krajewski, Rob Darken, Graal, Havok, vintage, never-before-seen photos, flyers, lyric sheets and so much more. 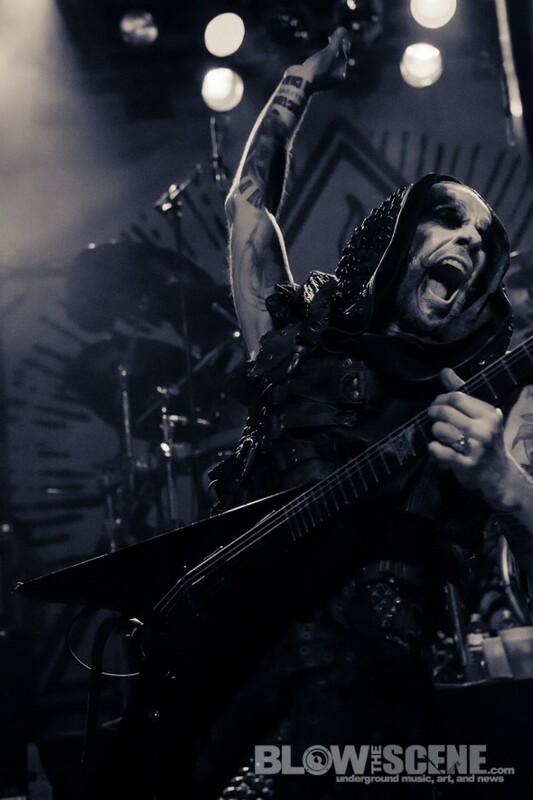 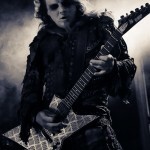 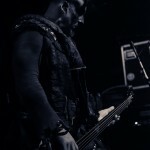 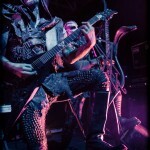 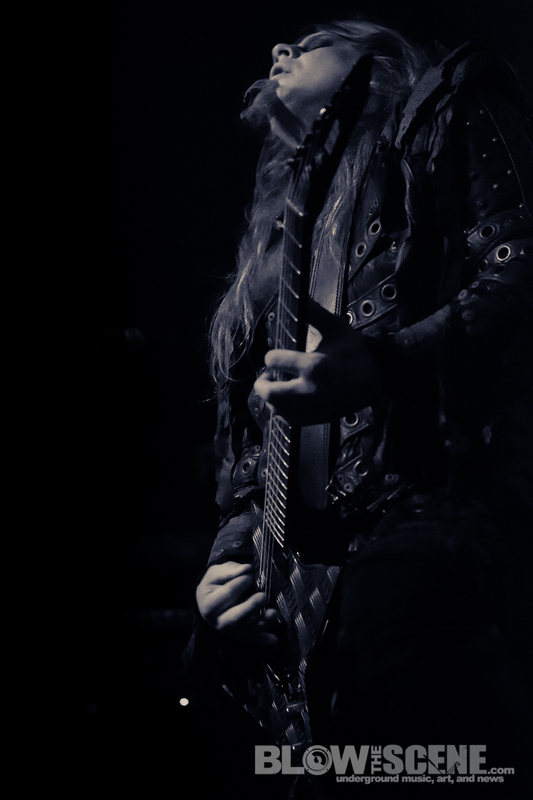 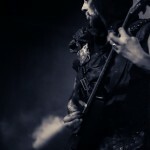 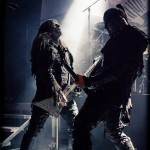 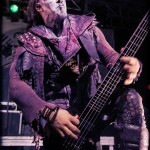 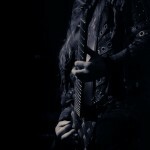 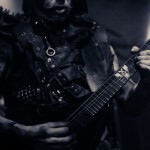 Behemoth joined forces with director Zev Deans to compose a video for “Messe Noire” from The Satanist. 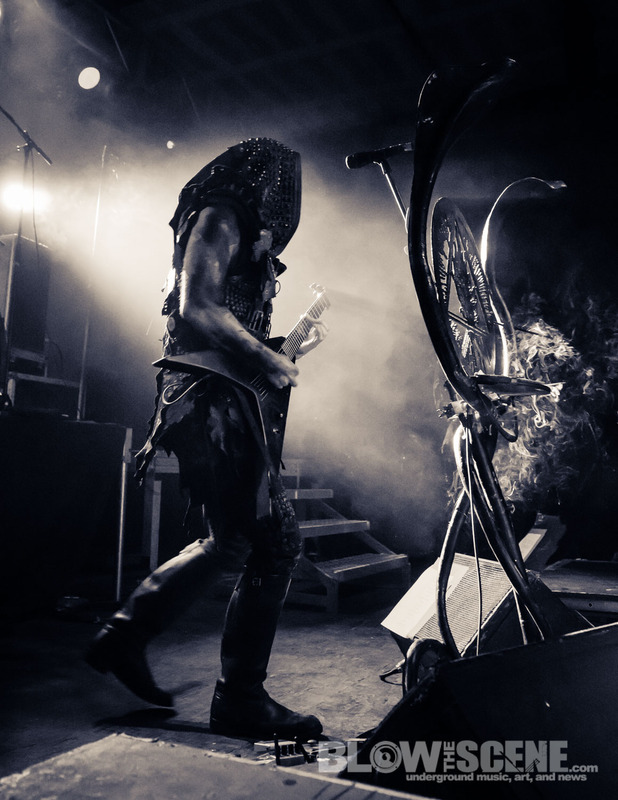 The Brooklyn based director brings a visually dark and surreal atmosphere to a song and album that is one of Behemoth‘s most bleak. 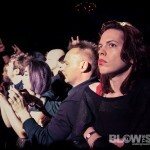 To add to the atmosphere, costumes were provided by amazing fashion designer, Sharon Toxic. 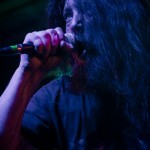 The combination of these visual and auditory talents could not be more ideal. 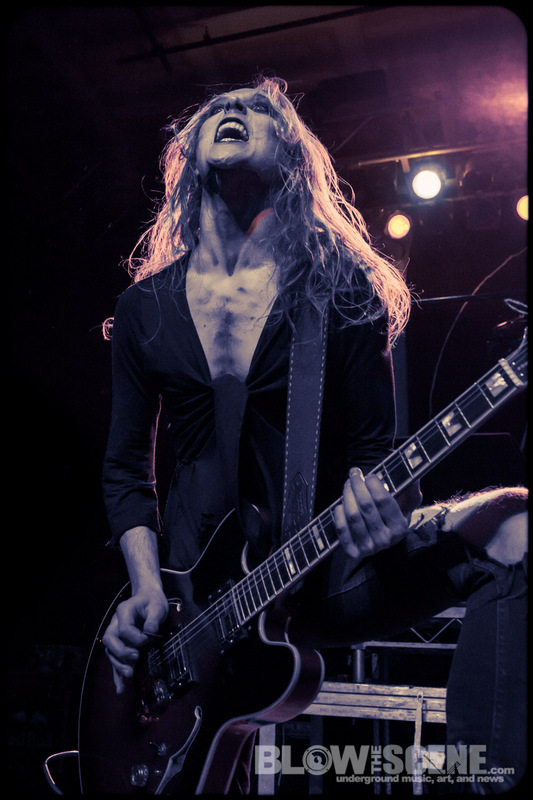 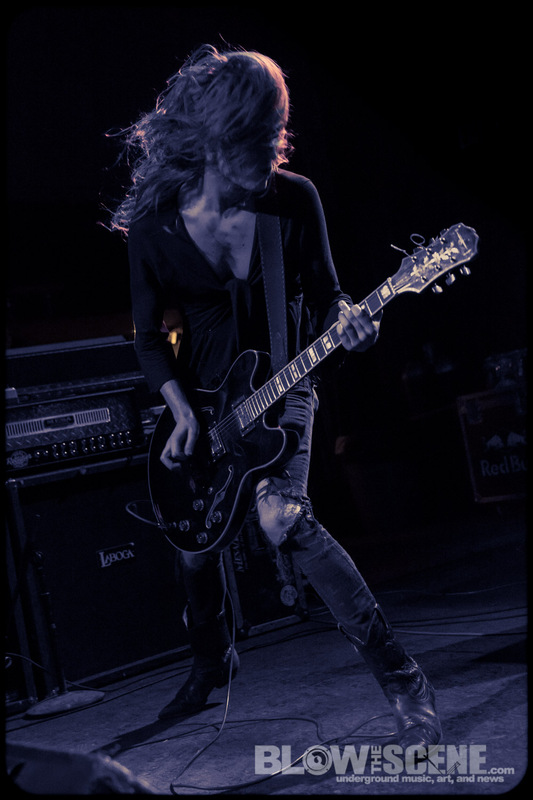 This October/November, Sweden’s Tribulation will return to North America for their first stateside run in support of their recently released new album, The Children Of The Night on Century Media Records. 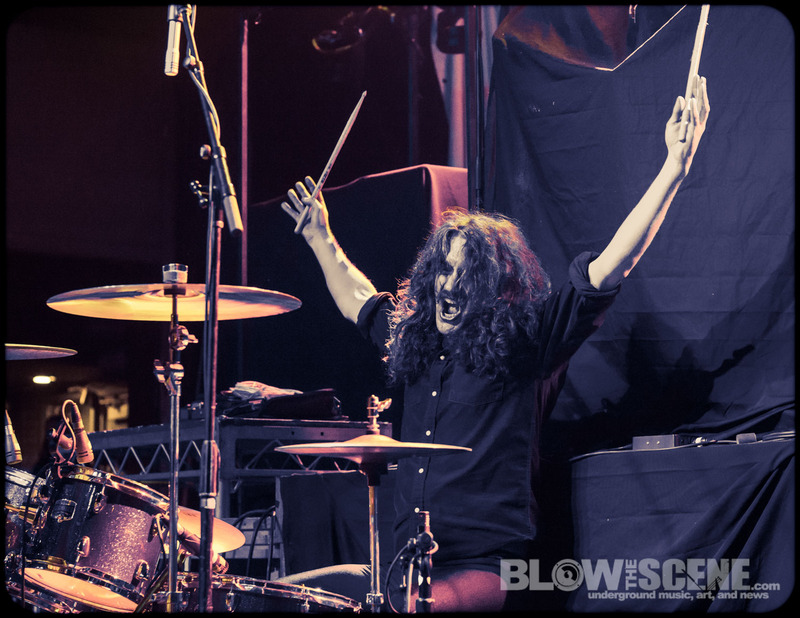 Deafheaven will also join the band on the trek (plus ENVY on select dates), making this one tour not to be missed. 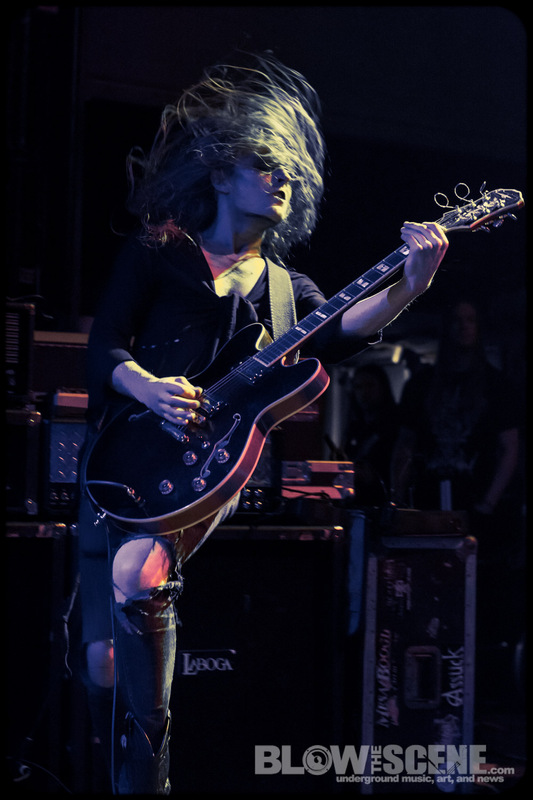 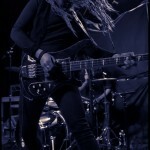 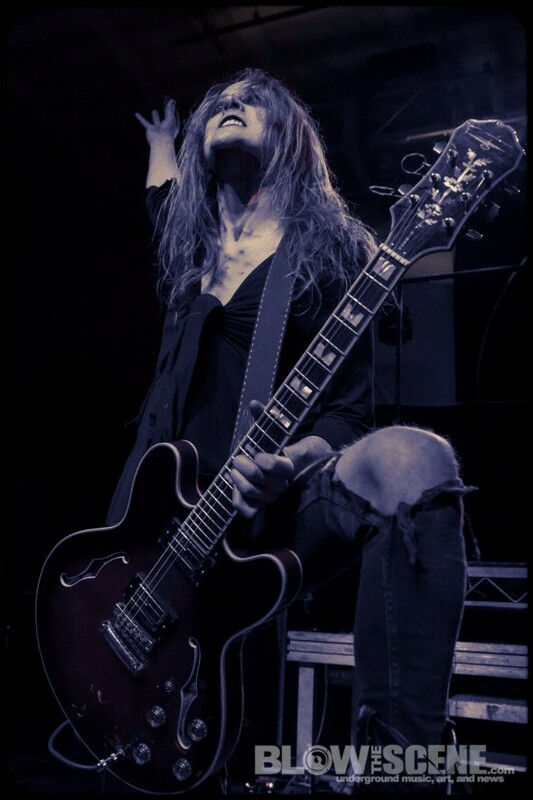 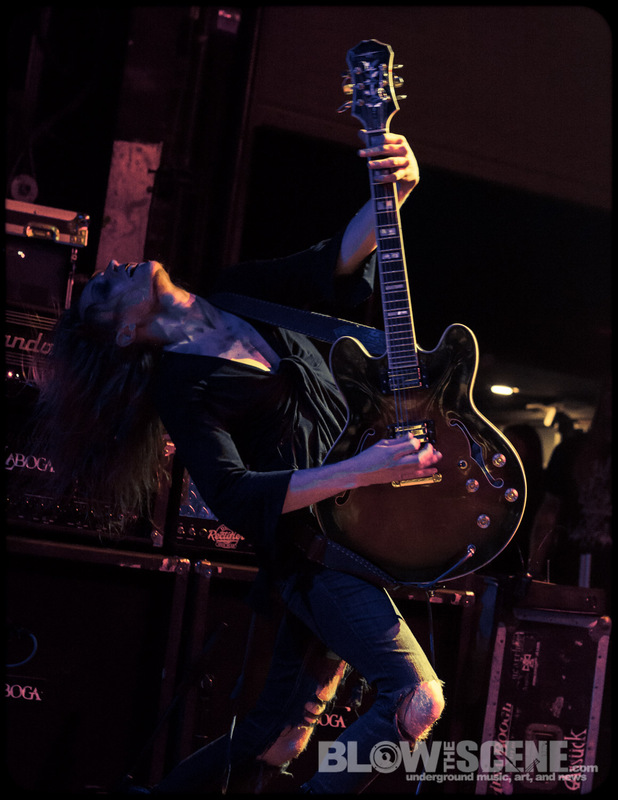 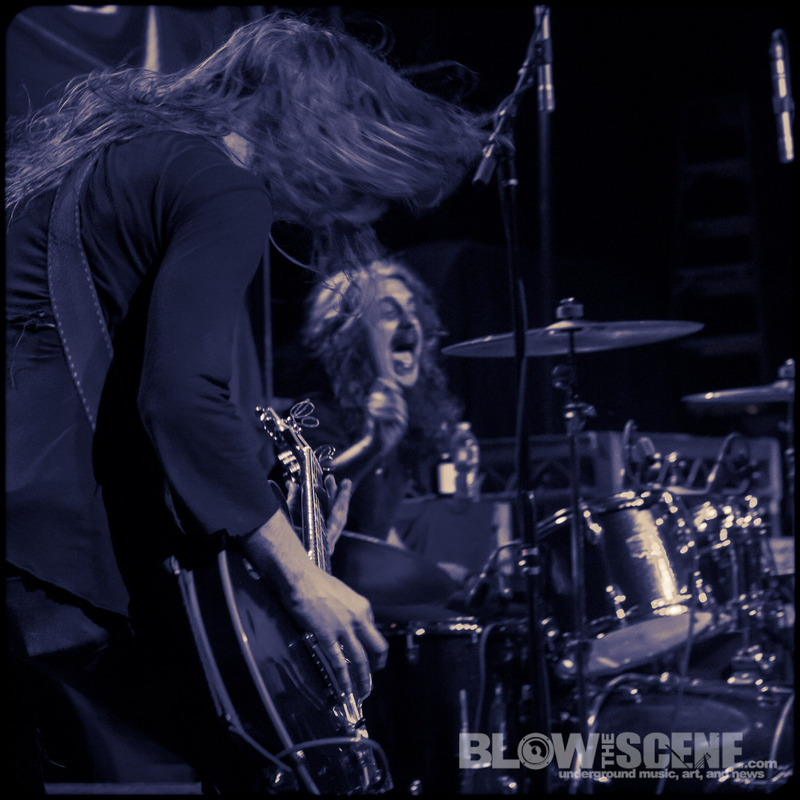 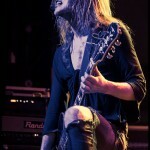 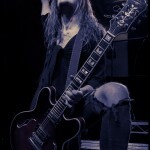 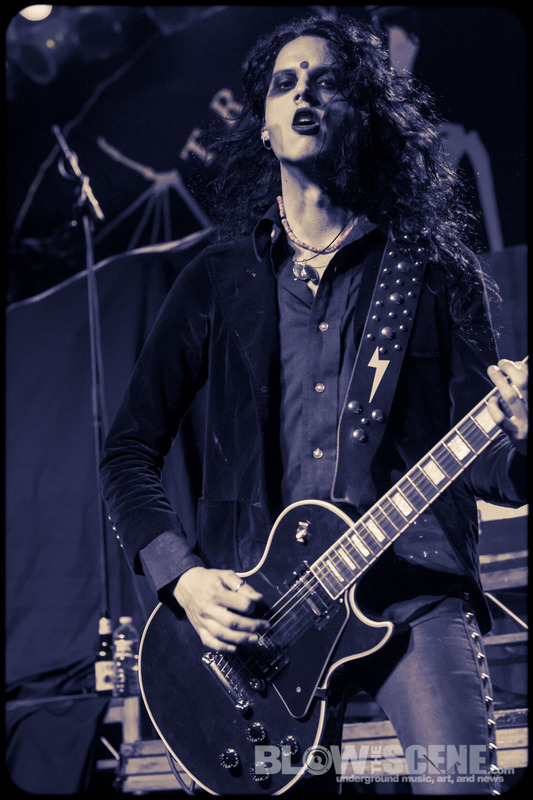 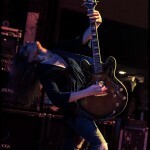 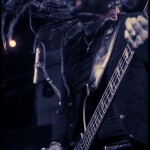 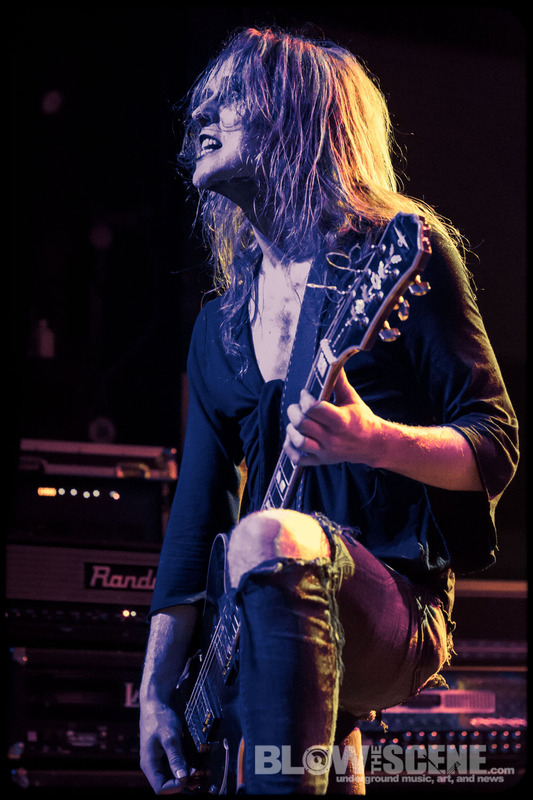 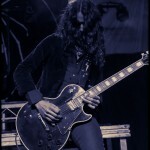 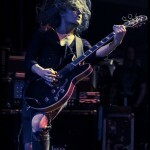 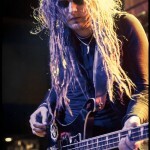 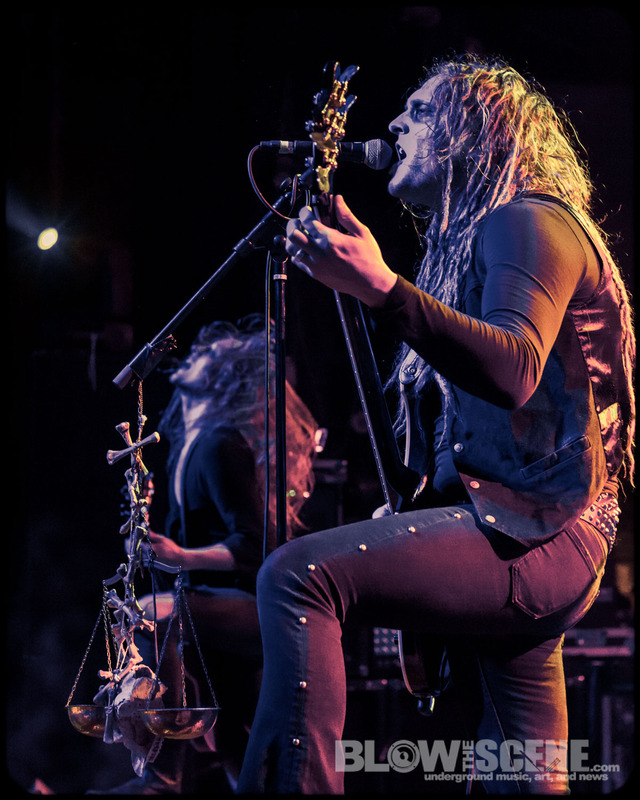 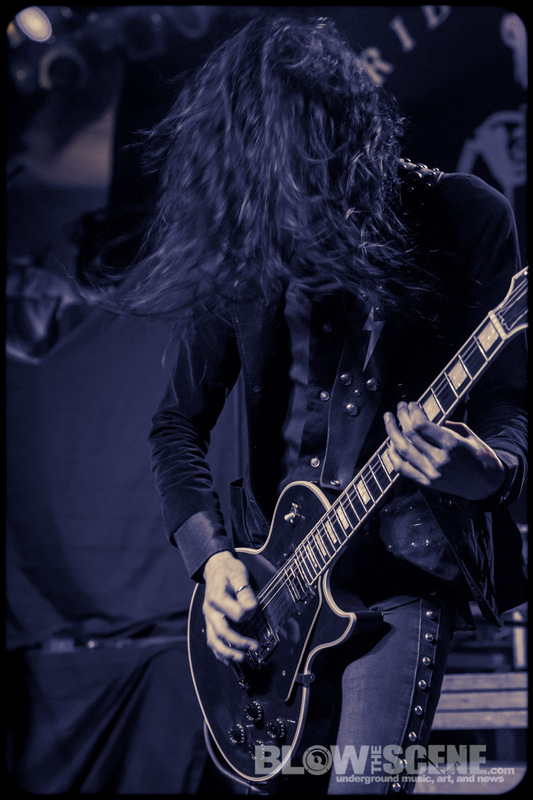 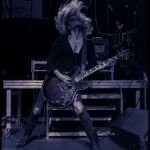 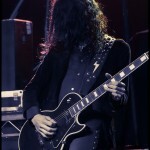 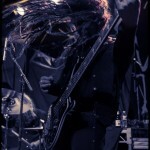 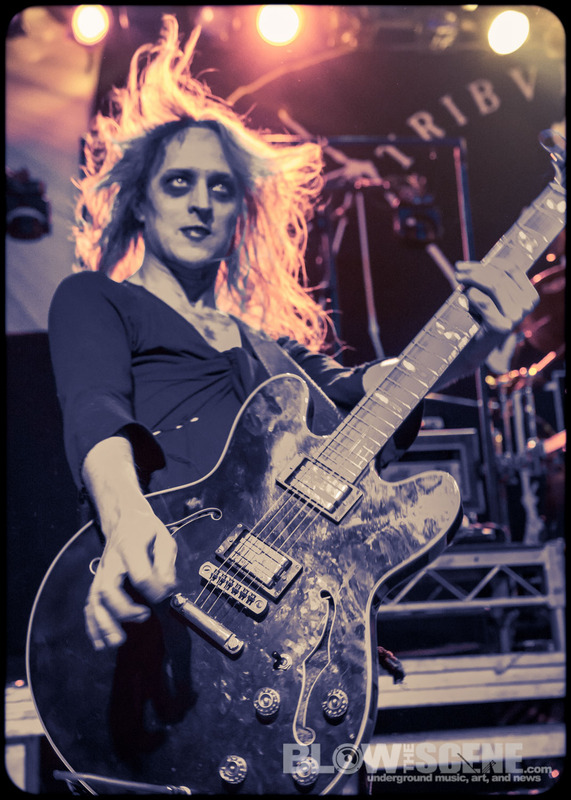 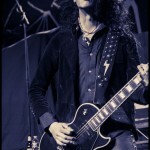 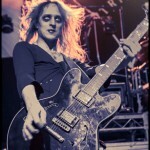 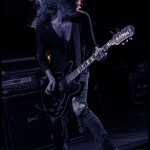 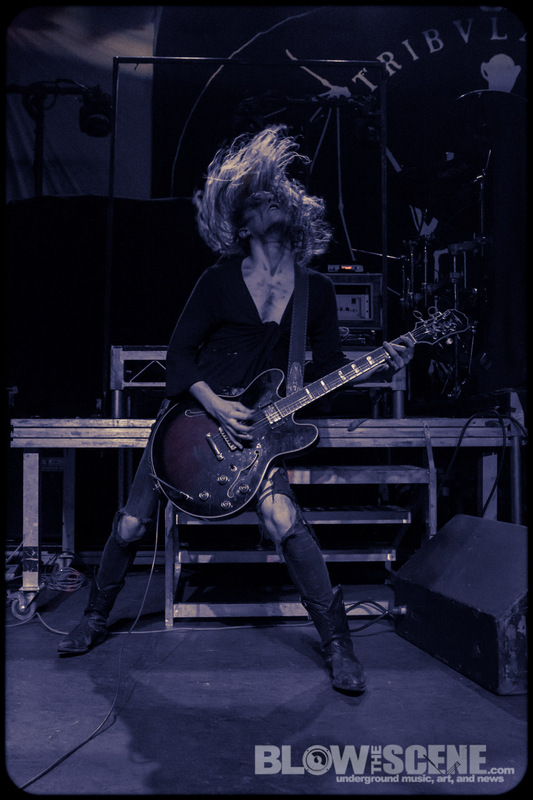 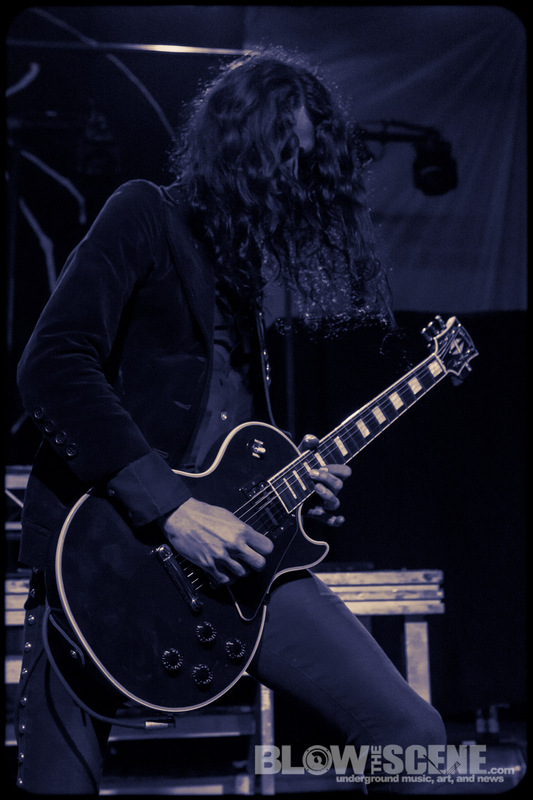 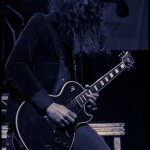 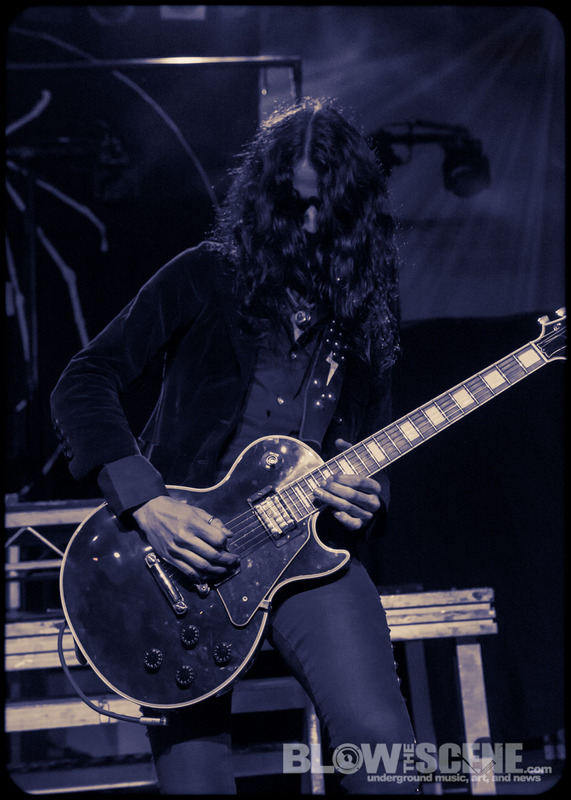 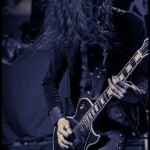 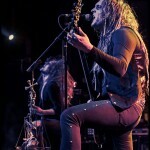 On their latest album, Tribulation combines foreboding death and black metal with vintage rock/metal, as well as dark wave- offering nods to influential bands, but refusing to fall into mere mimicry. 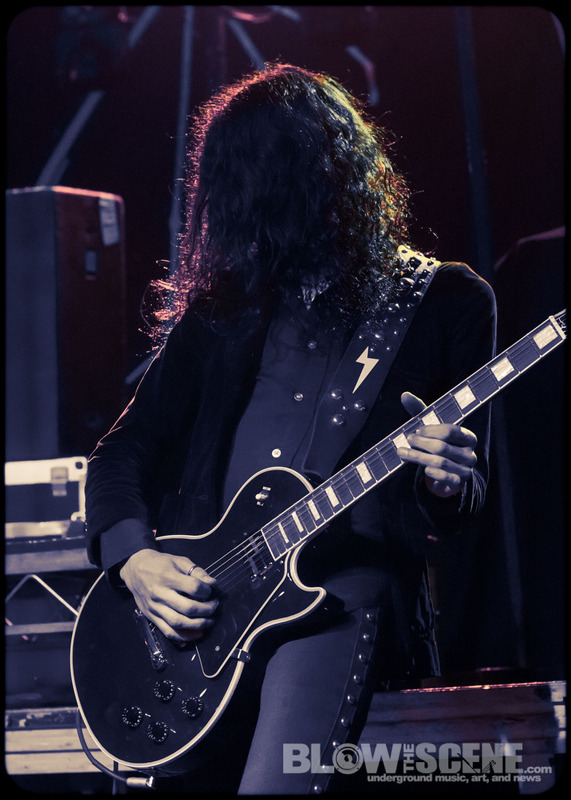 With a willful drive, an irresistible groove, bewitching melodies and a haunting atmosphere, The Children Of The Night is guaranteed to turn heads of both newcomers and the initiated alike. 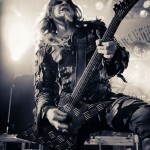 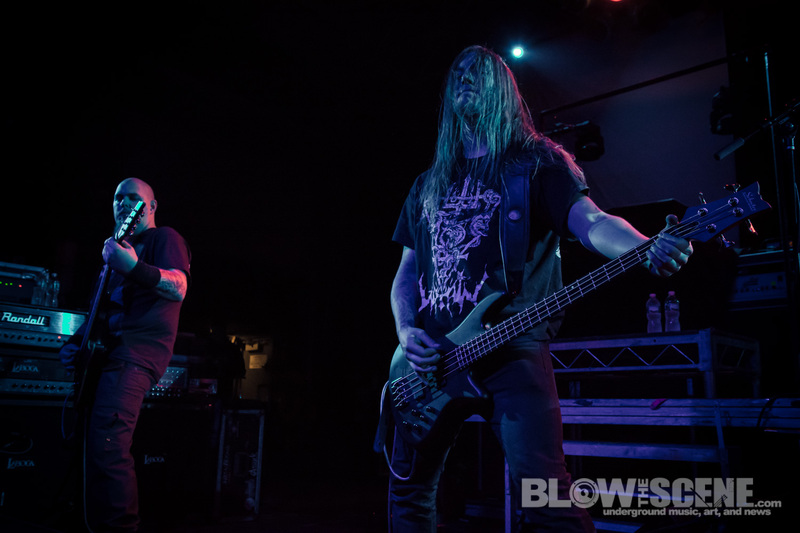 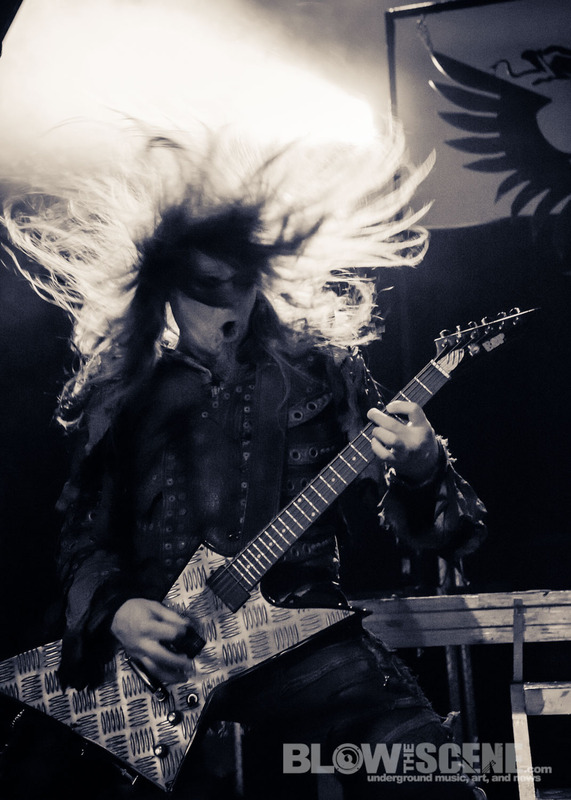 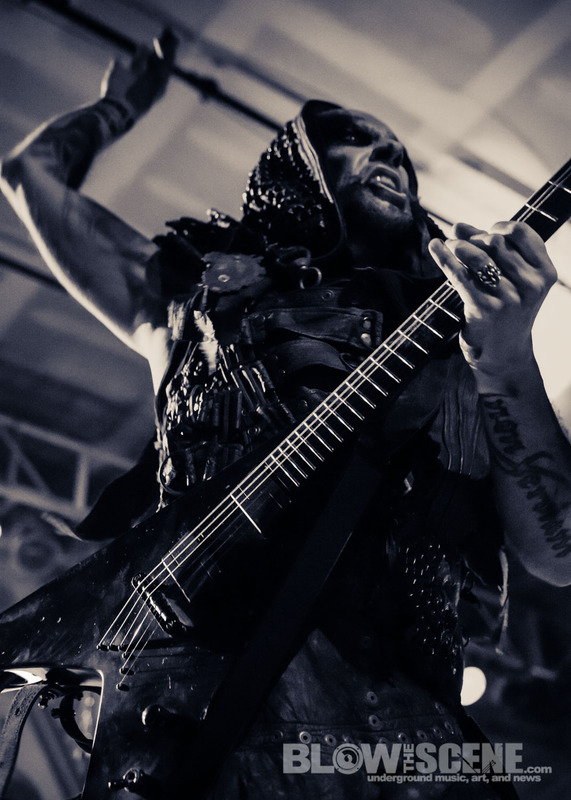 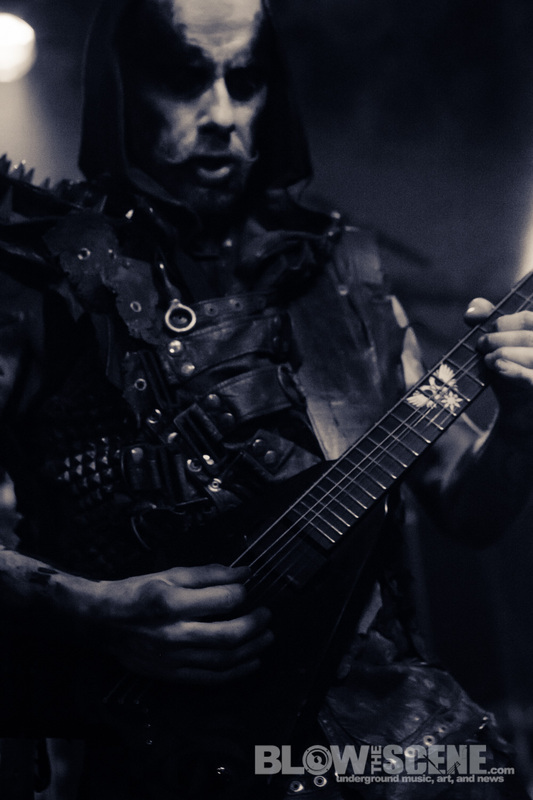 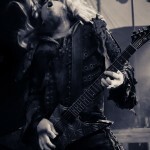 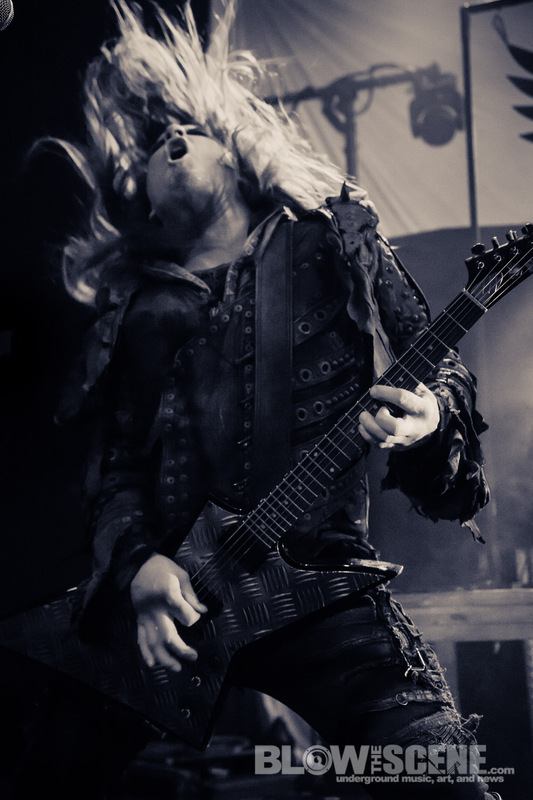 Swedish death metal unit, Aeon, began their march through North America earlier this month on the Devastation On The Nation Tour featuring headliners Origin and Krisiun. 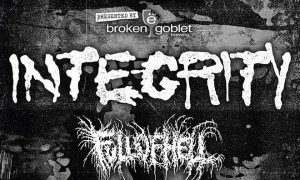 The Metal Injection-sponsored live takeover will decimate nearly three-dozen venues through October 5th. 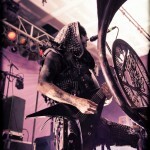 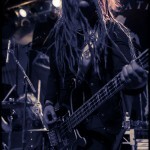 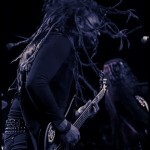 Additional support will be provided by Alterbeast, Soreption and Ingested. 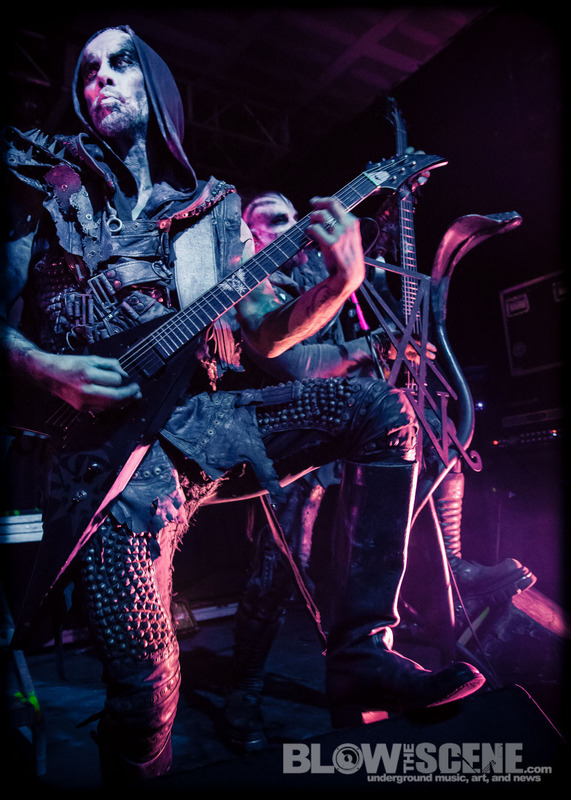 Aeon released their critically-lauded Aeon’s Black full-length in 2012 via Metal Blade Records. 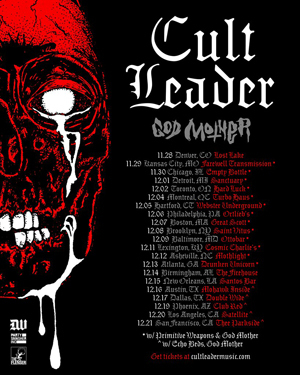 Called, “one of the best death metal albums of 2012,” by Revolver.